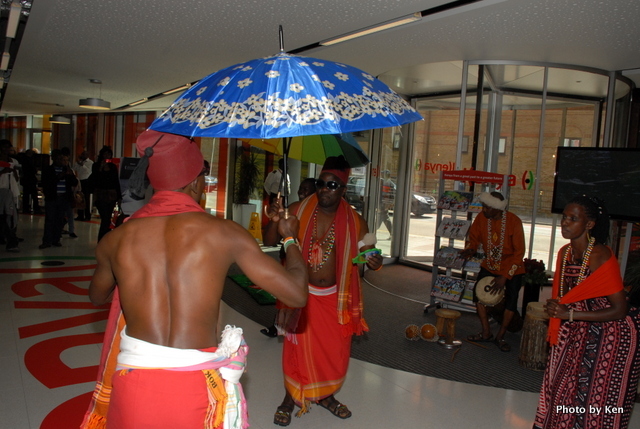 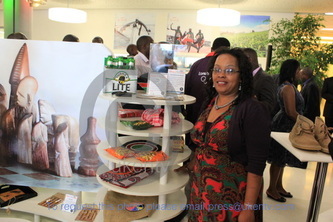 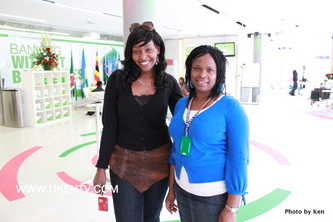 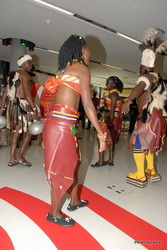 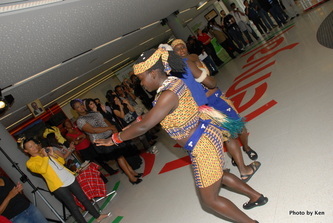 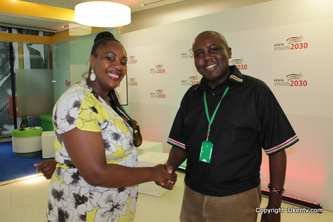 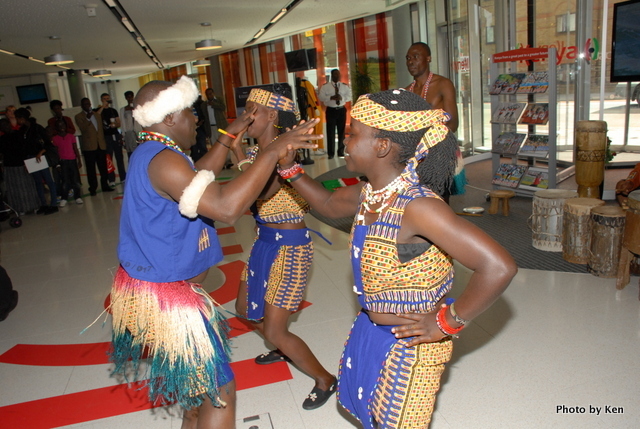 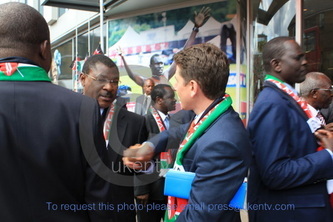 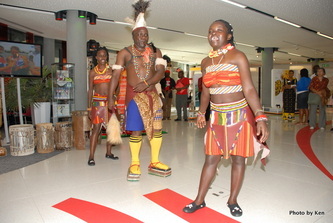 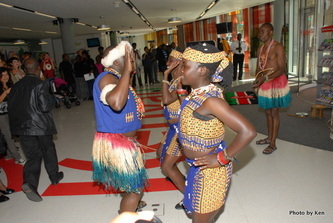 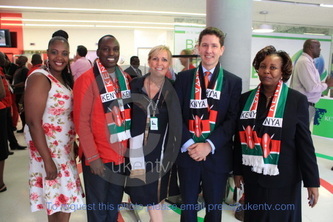 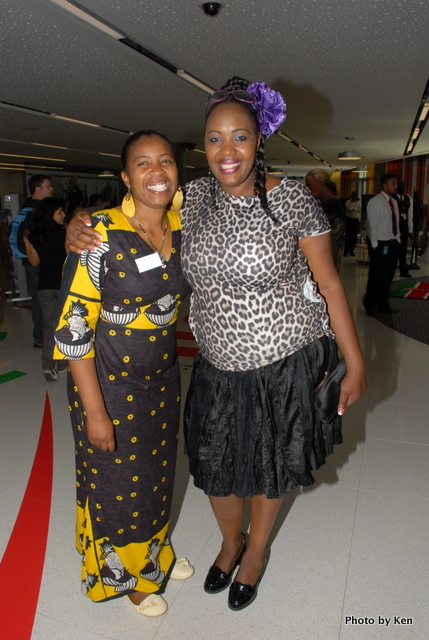 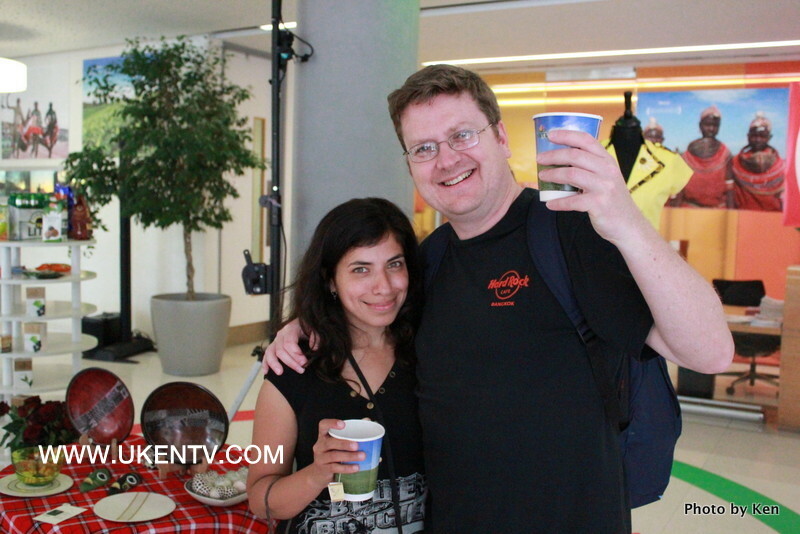 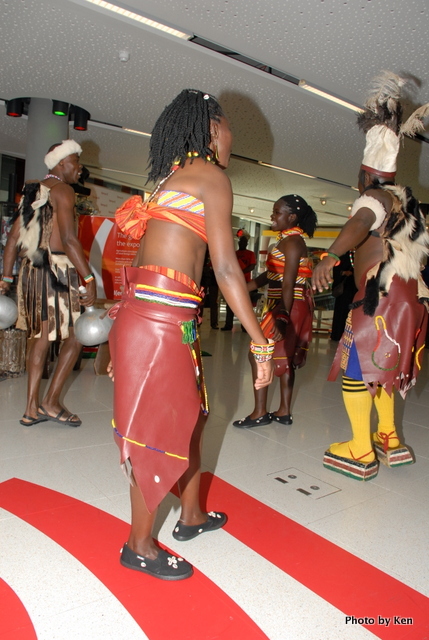 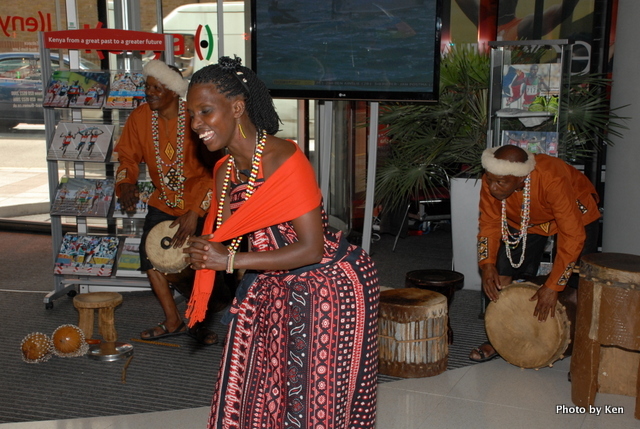 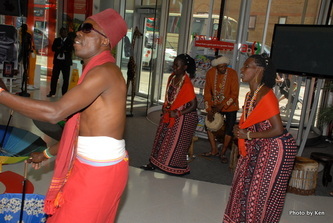 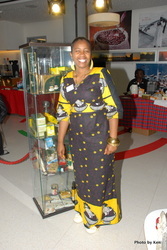 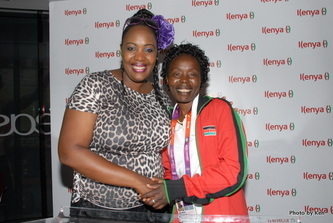 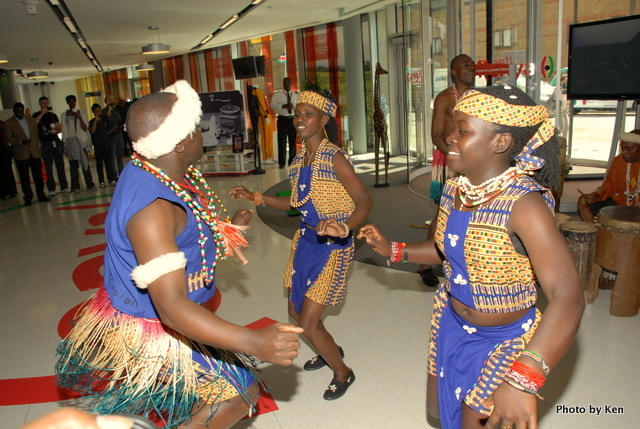 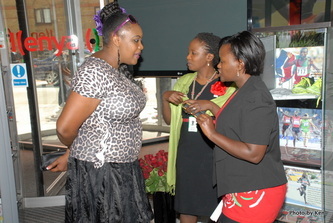 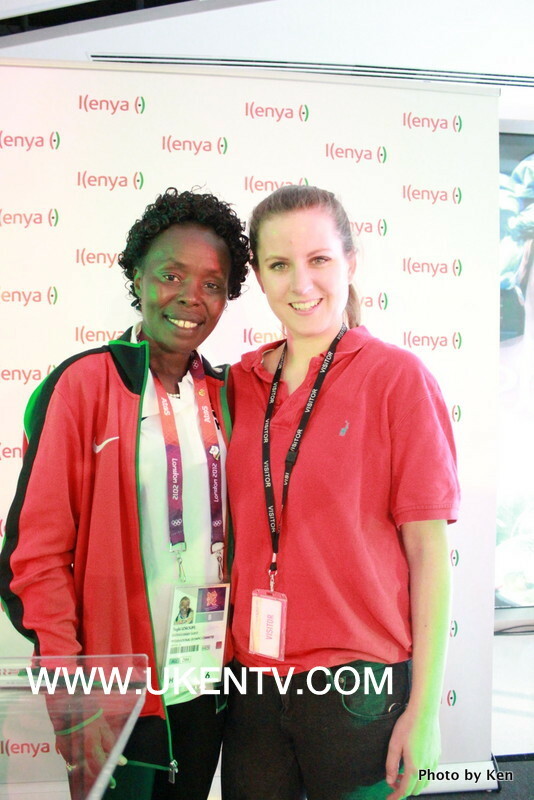 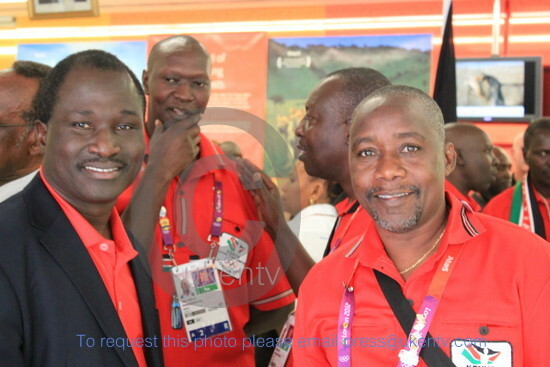 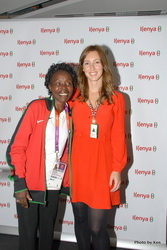 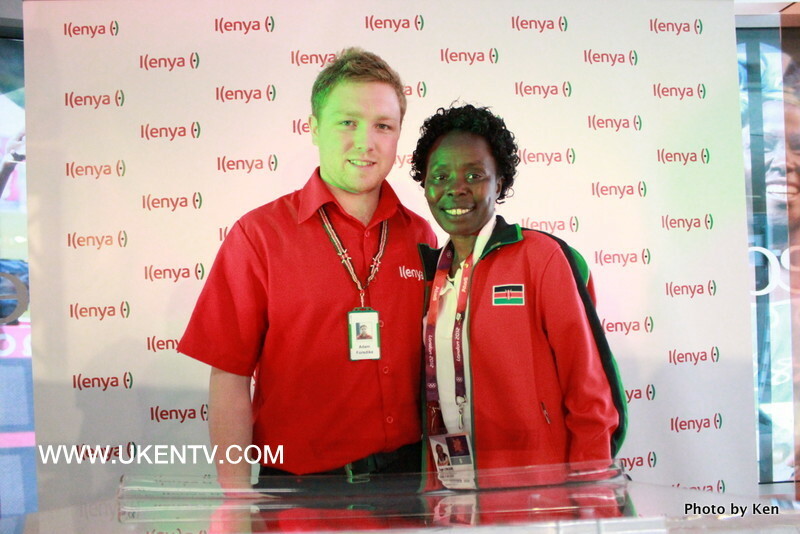 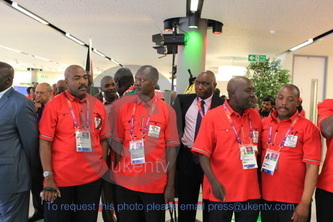 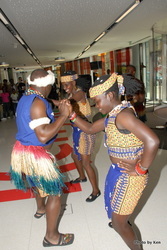 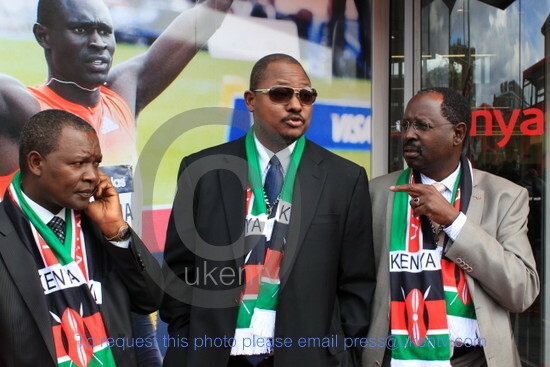 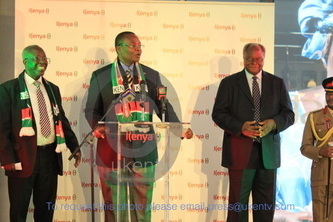 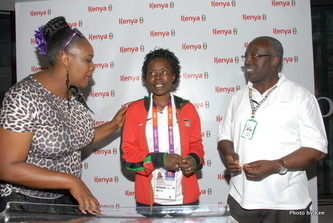 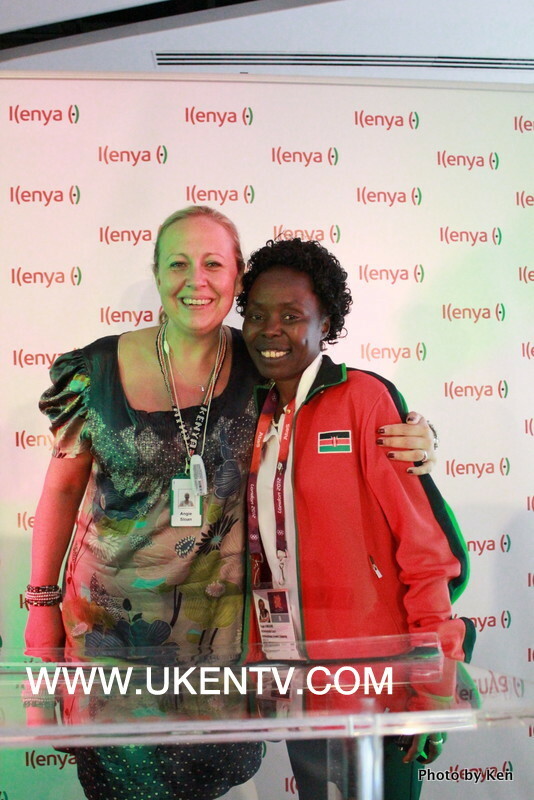 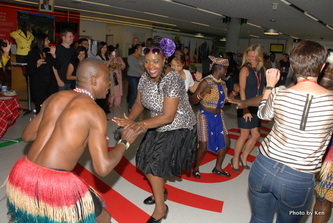 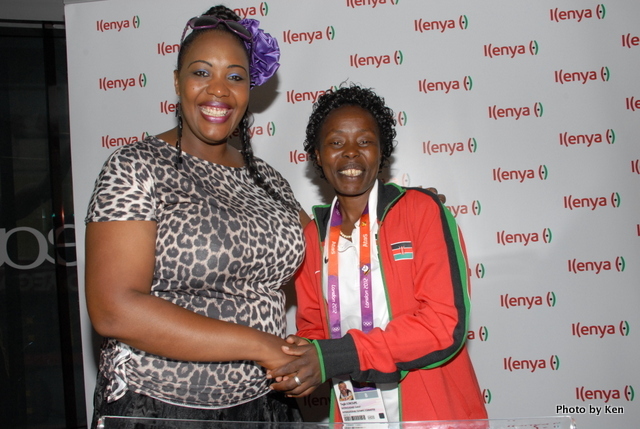 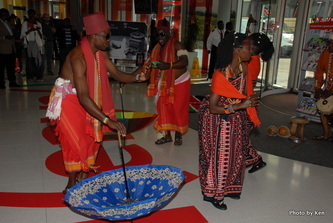 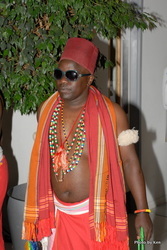 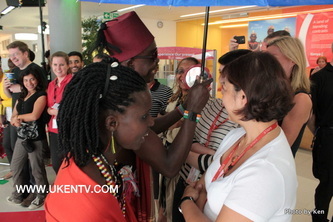 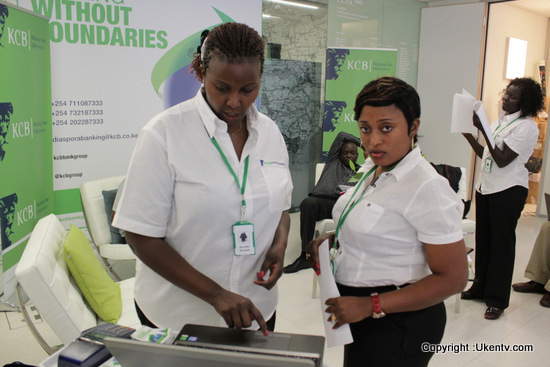 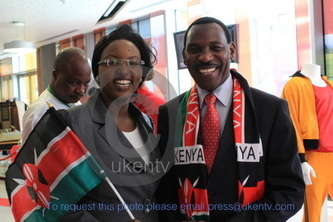 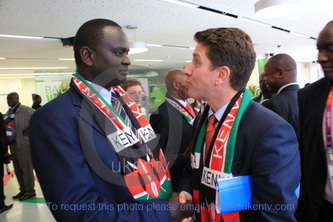 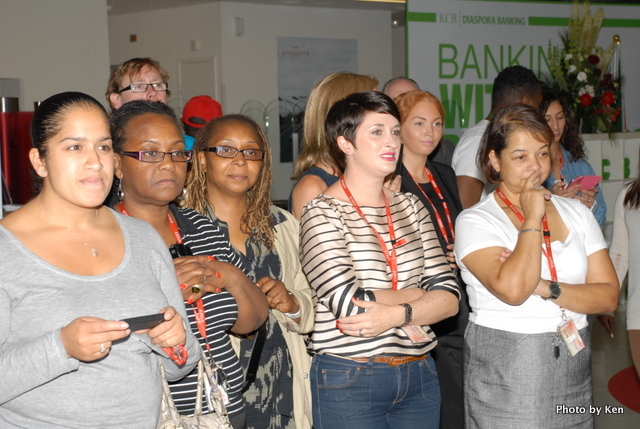 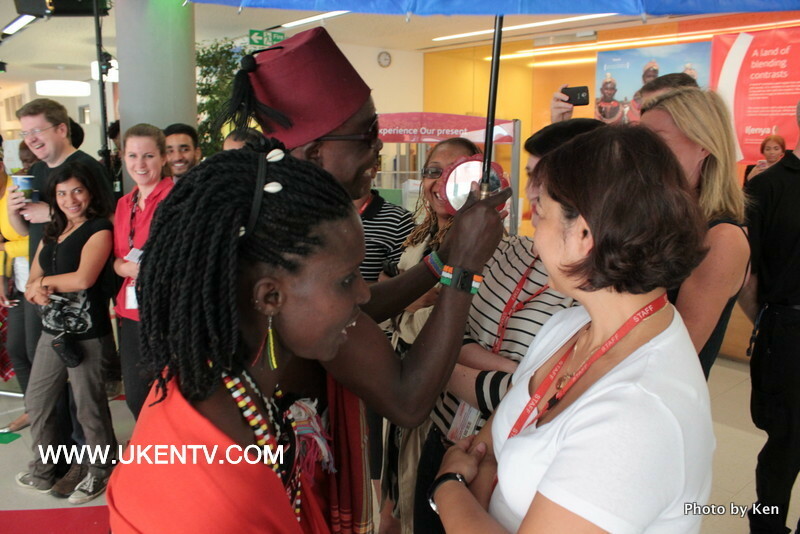 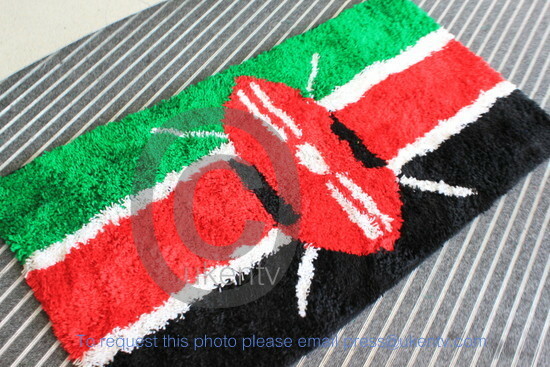 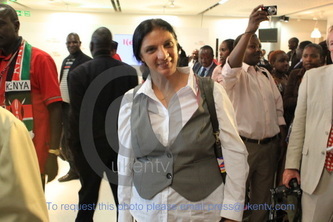 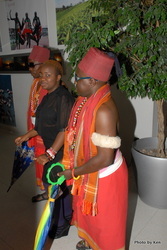 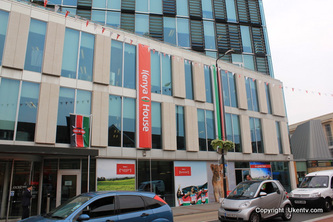 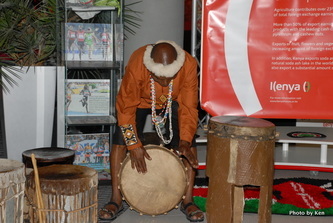 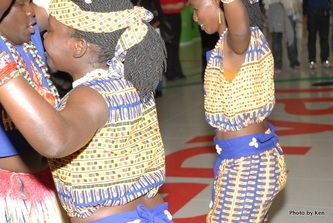 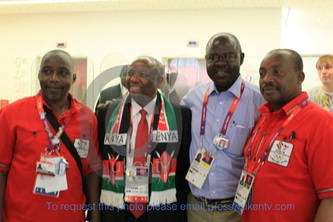 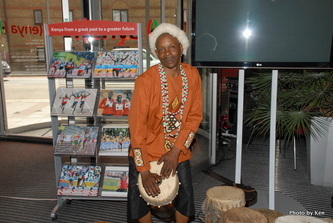 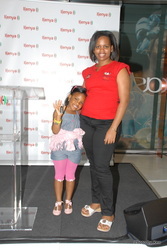 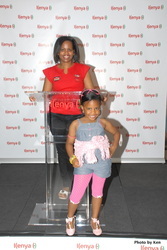 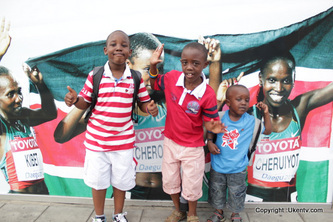 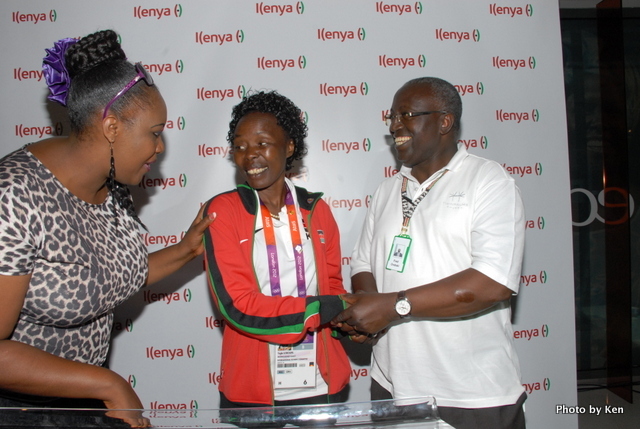 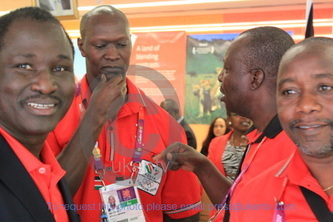 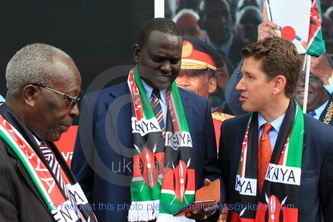 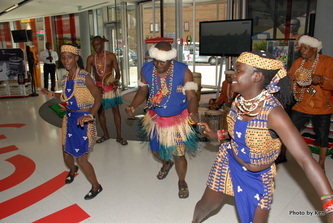 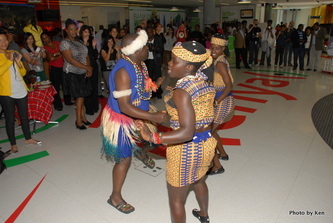 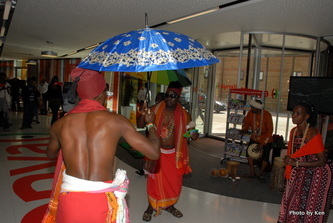 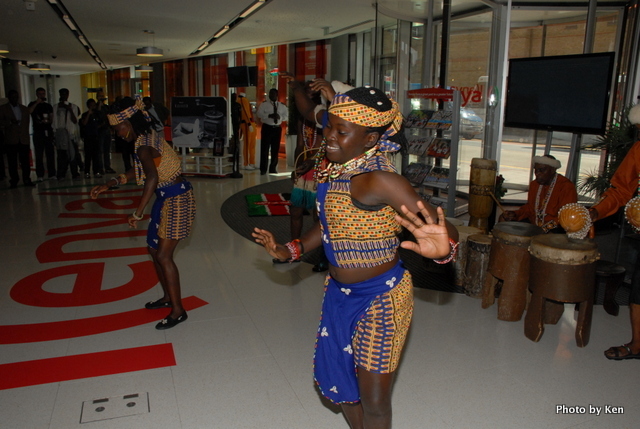 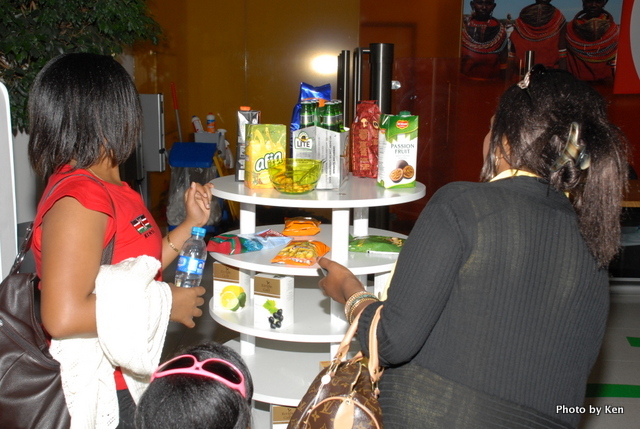 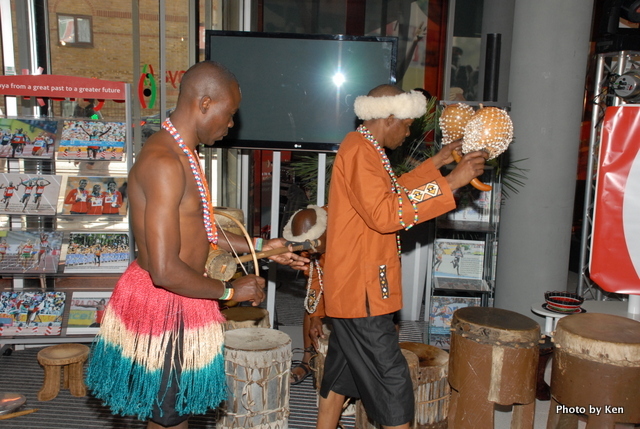 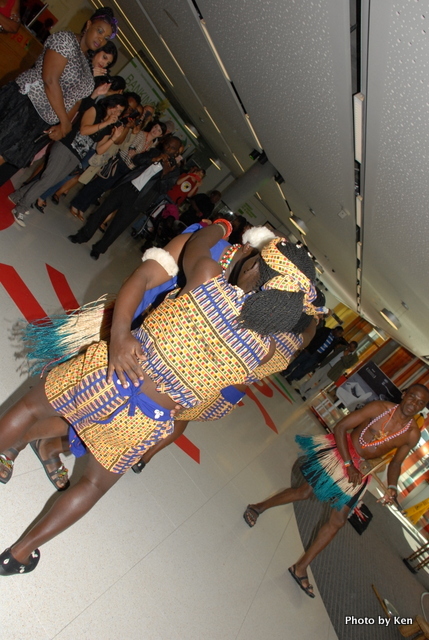 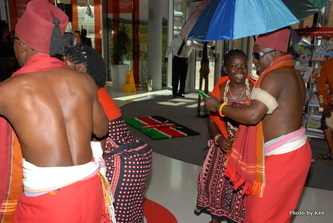 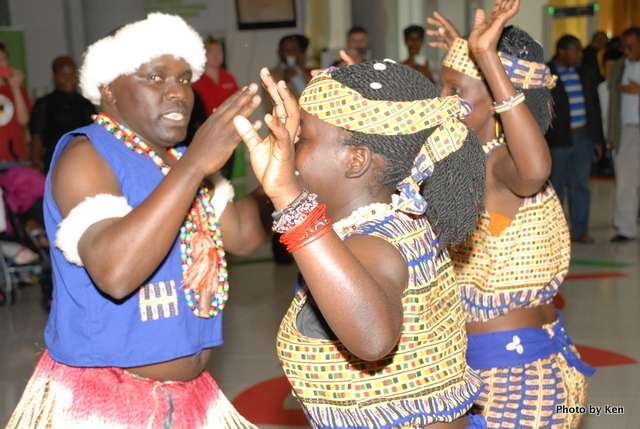 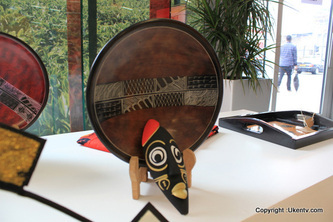 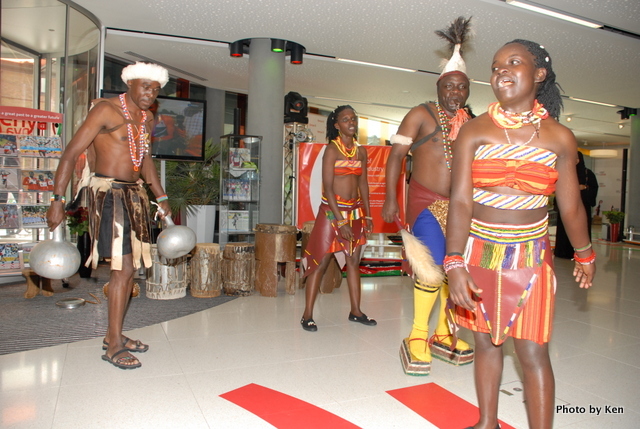 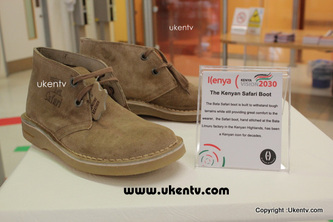 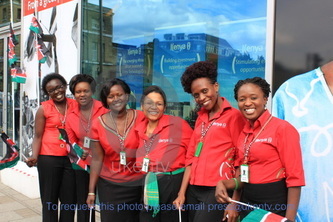 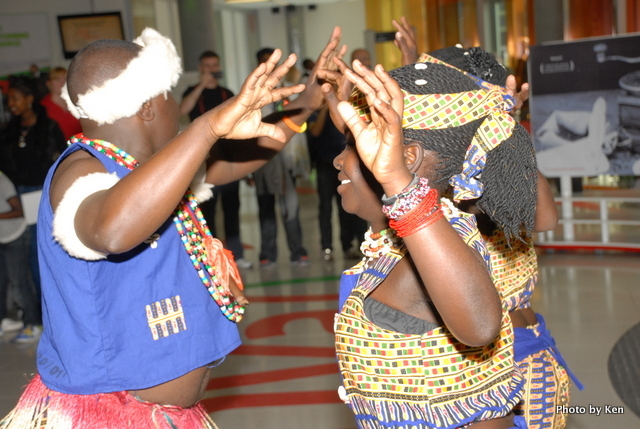 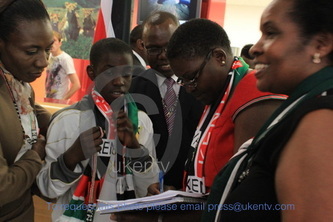 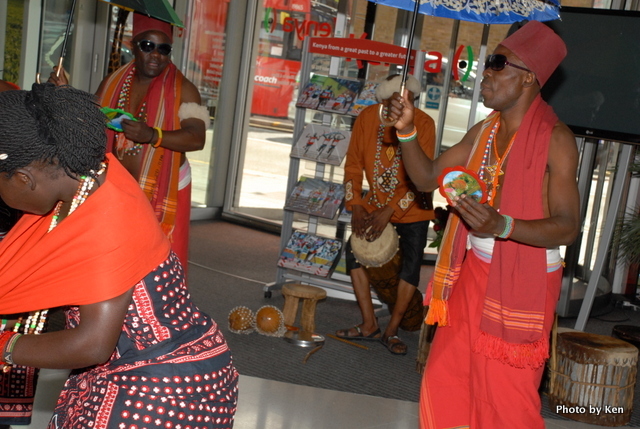 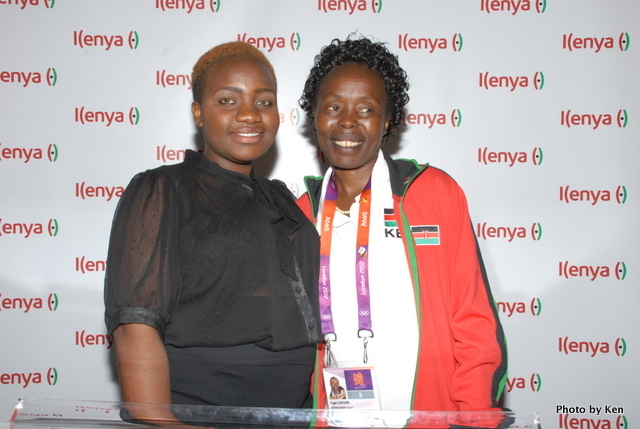 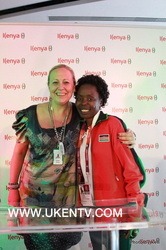 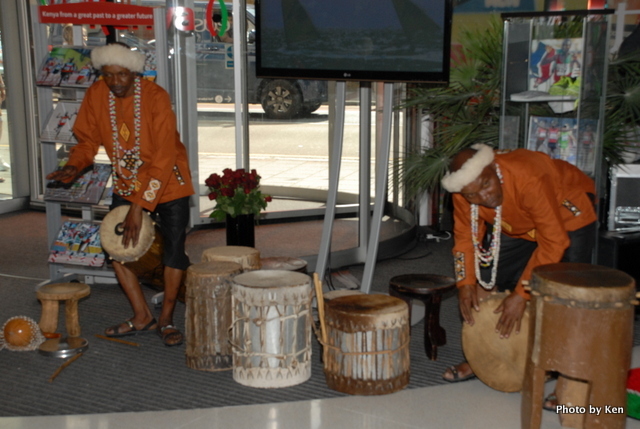 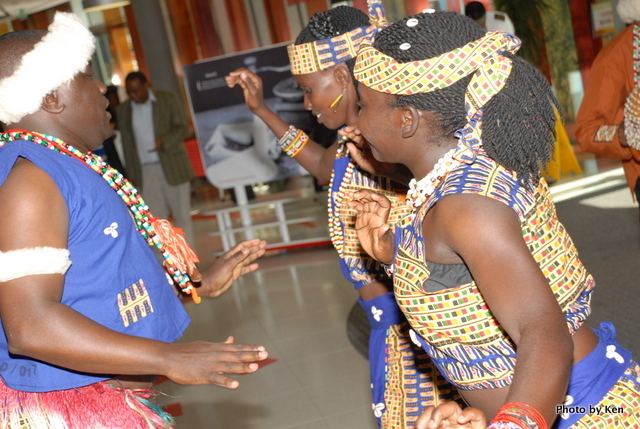 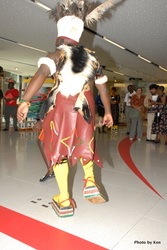 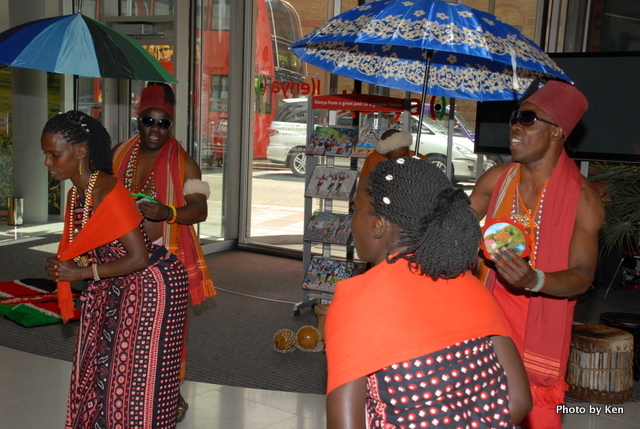 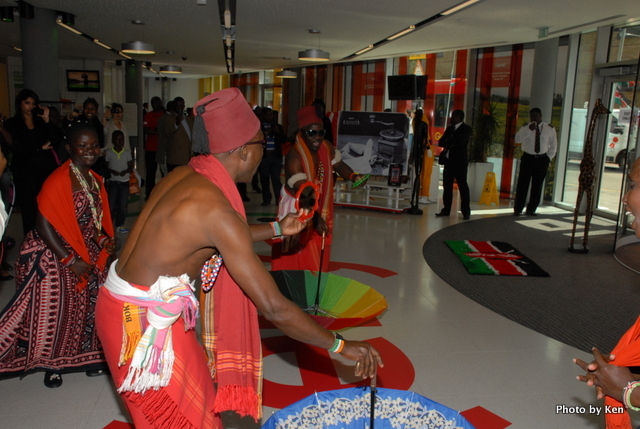 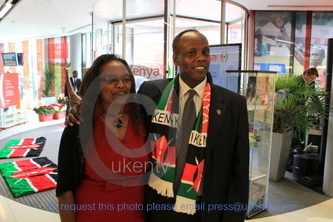 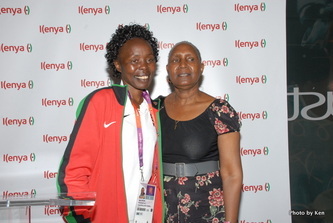 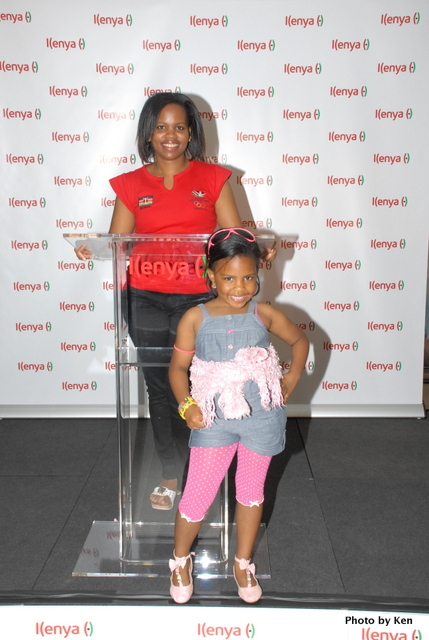 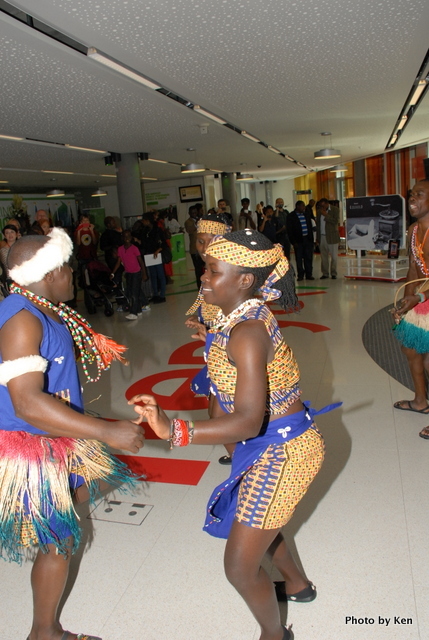 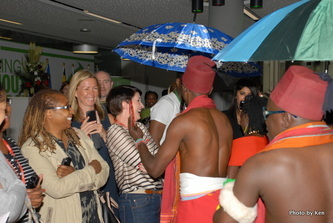 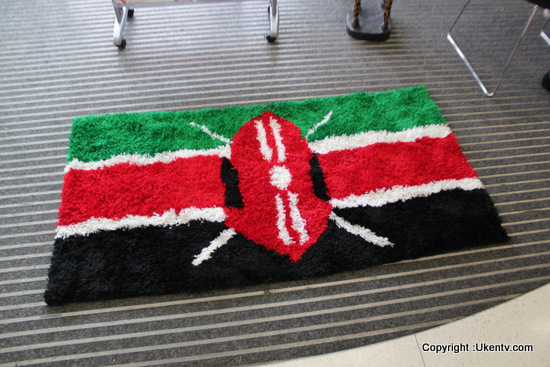 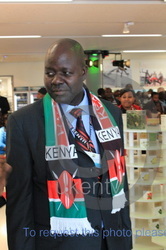 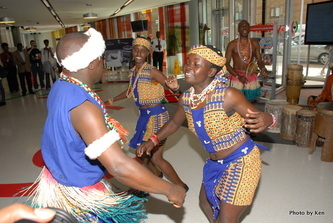 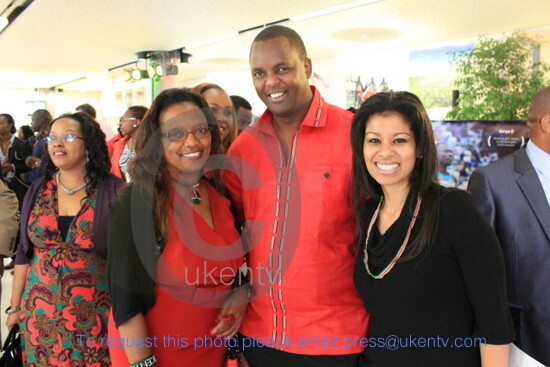 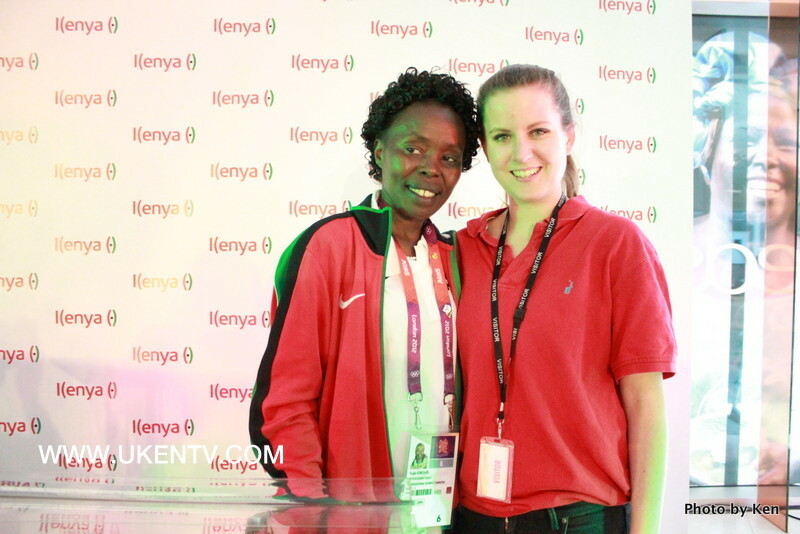 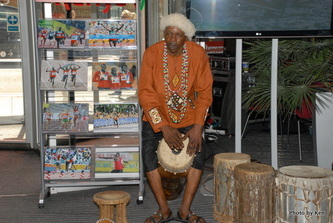 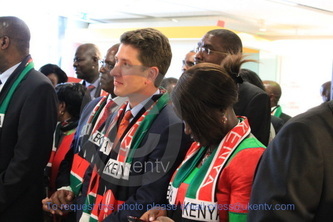 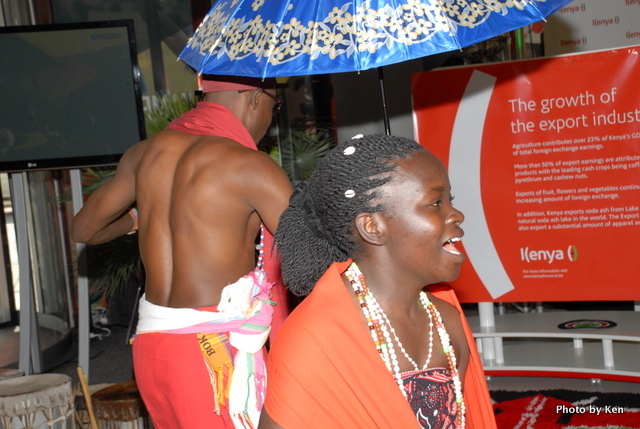 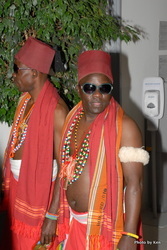 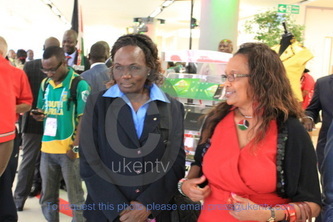 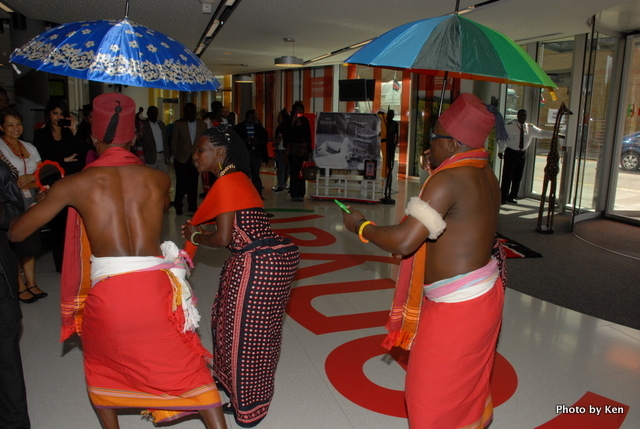 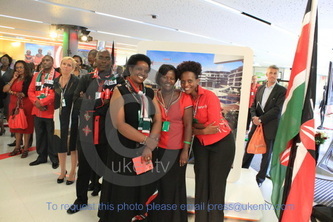 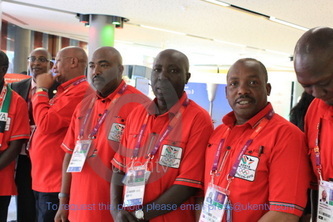 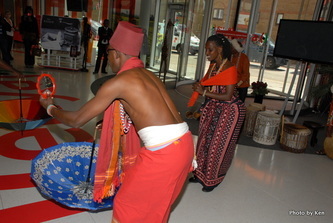 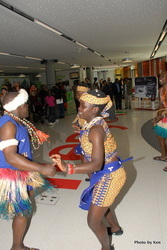 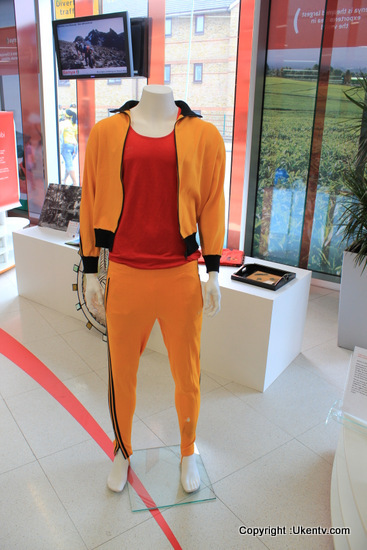 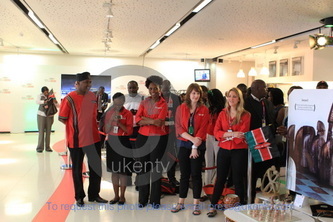 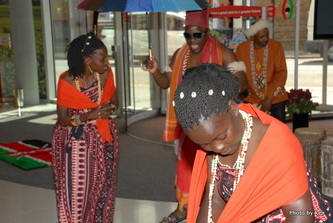 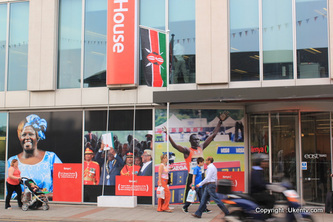 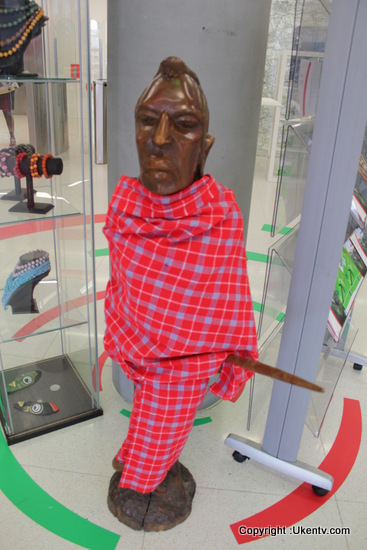 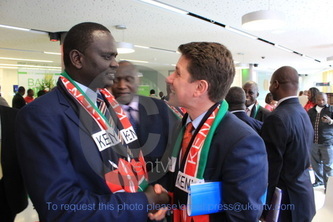 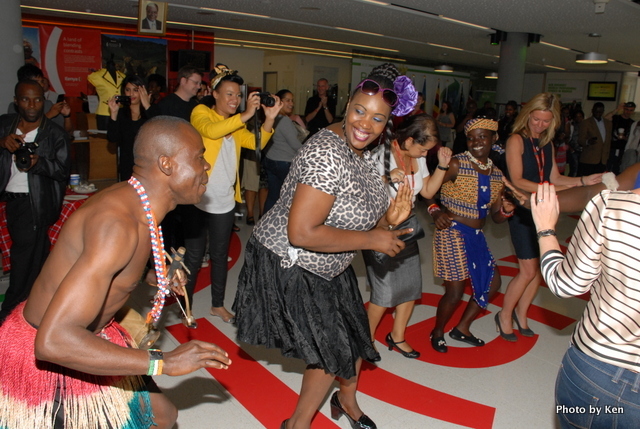 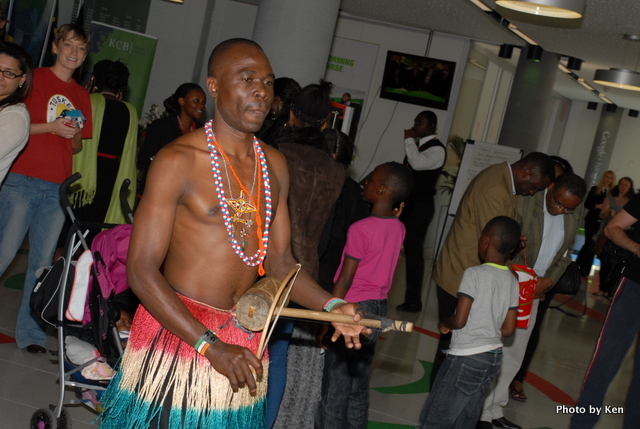 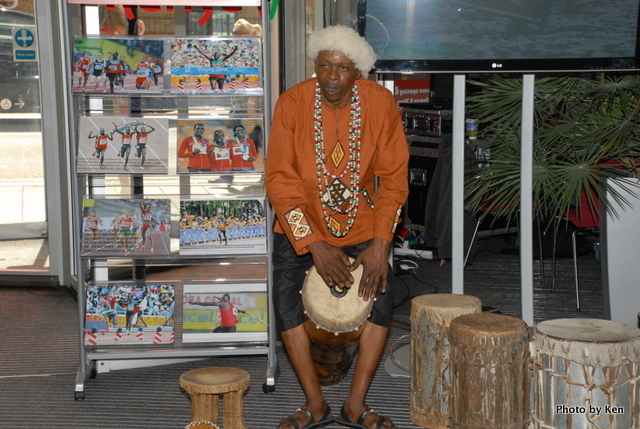 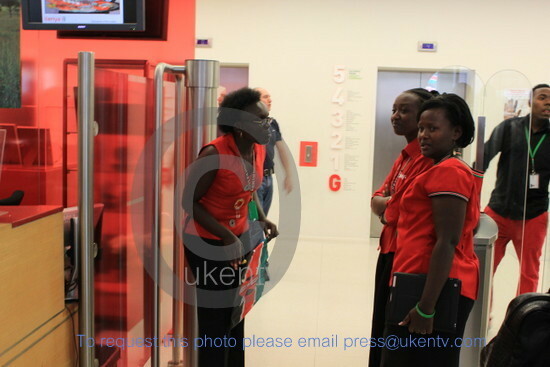 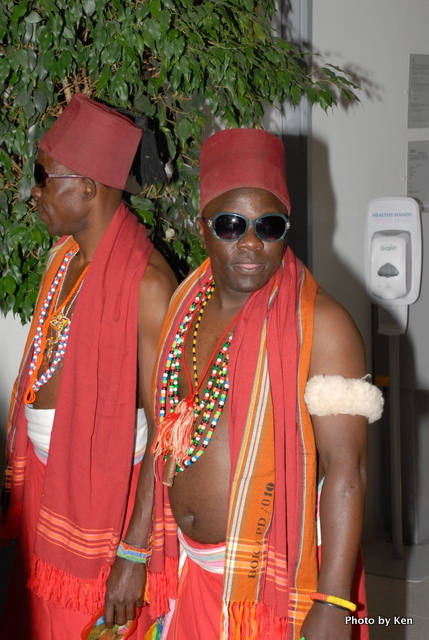 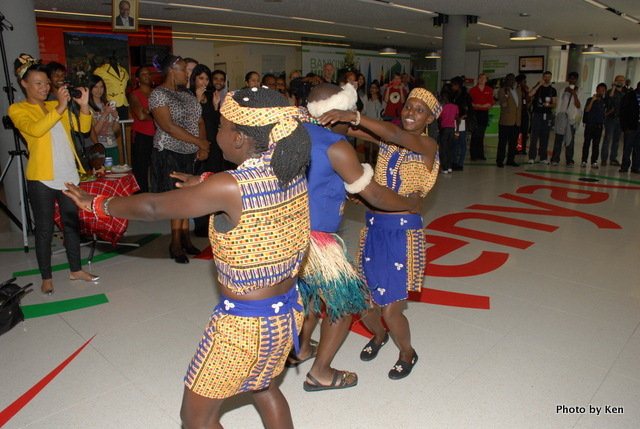 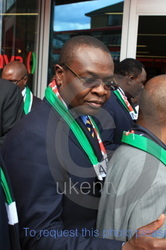 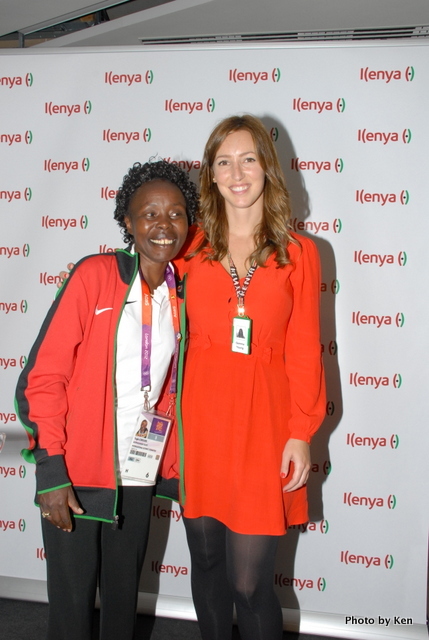 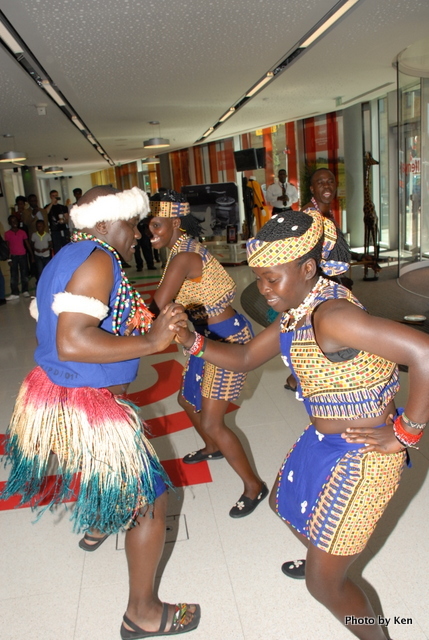 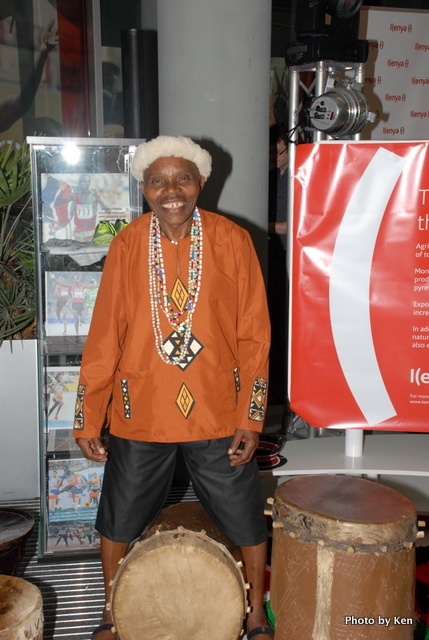 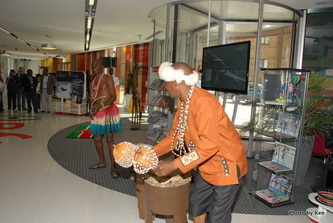 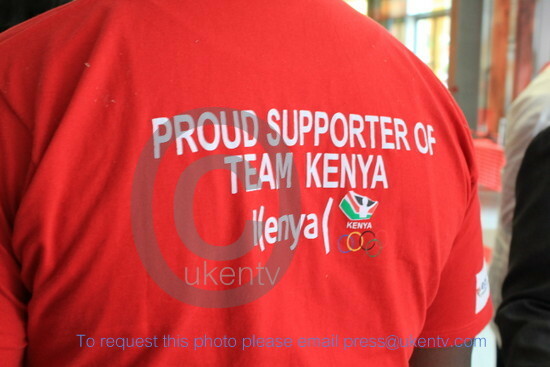 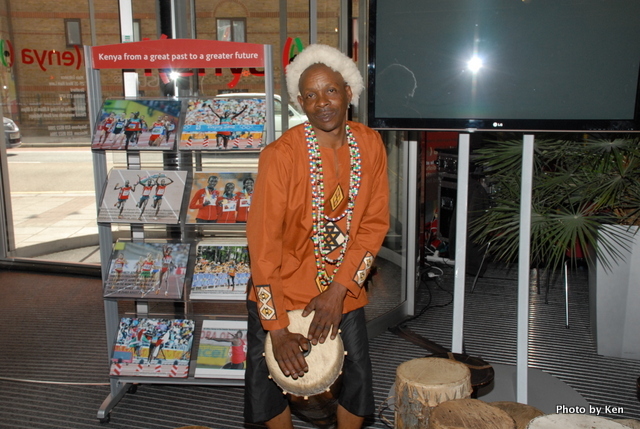 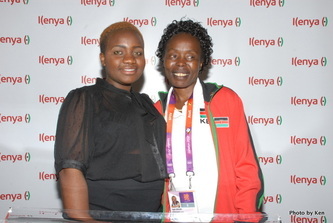 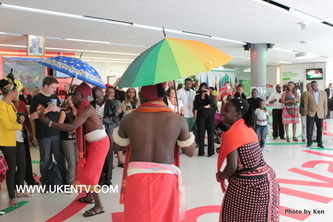 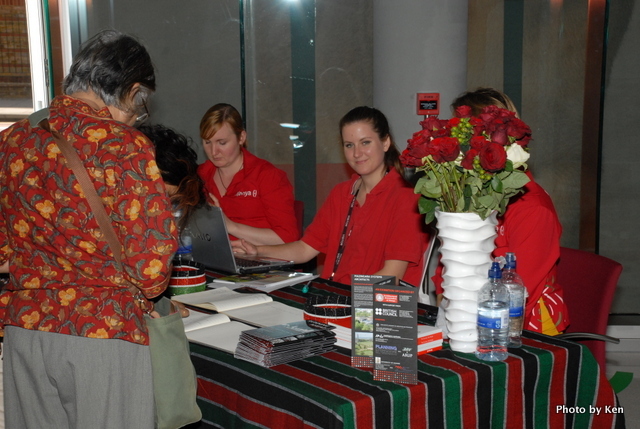 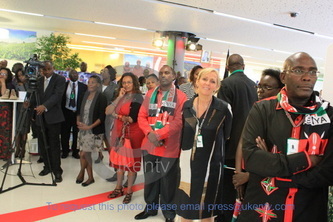 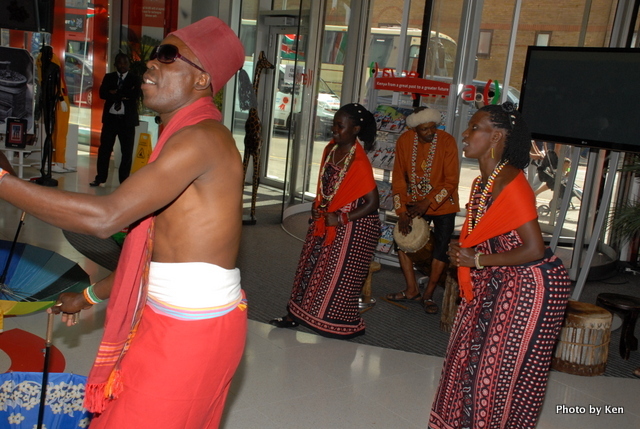 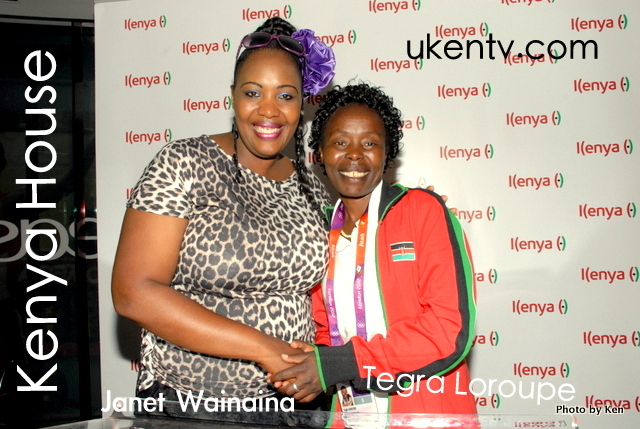 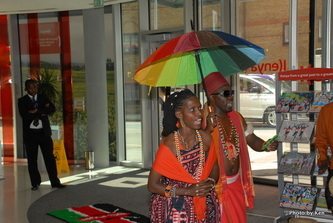 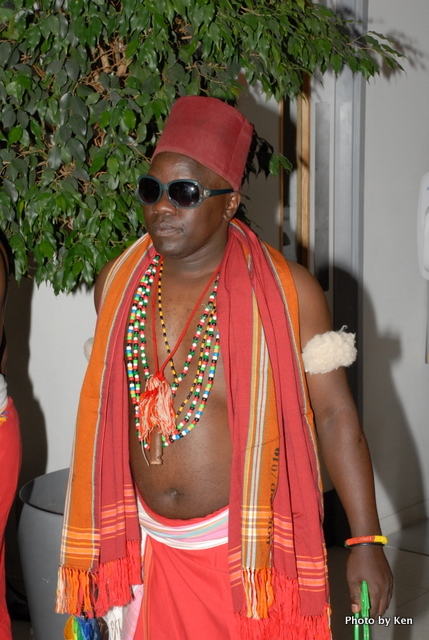 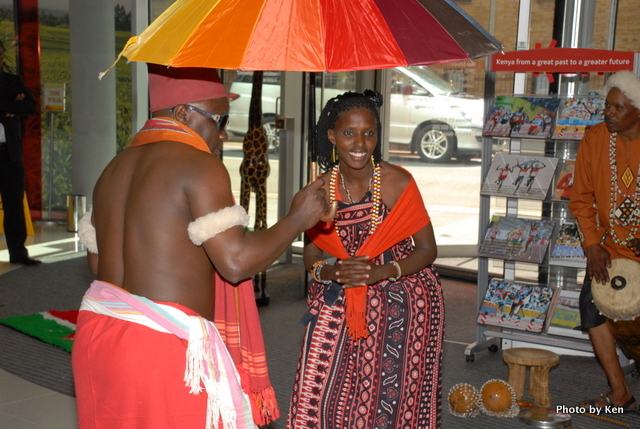 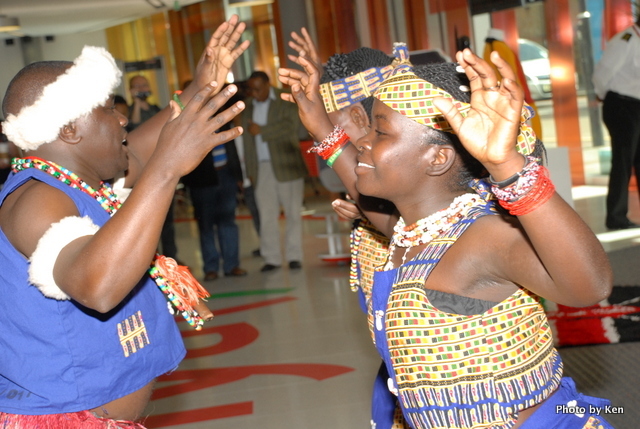 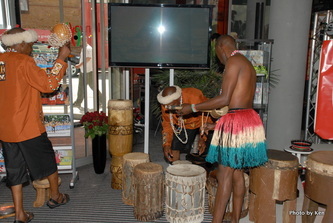 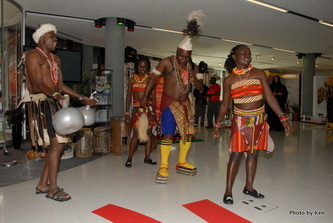 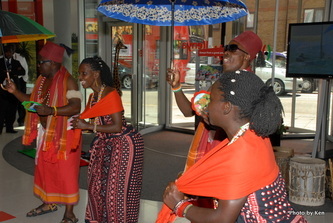 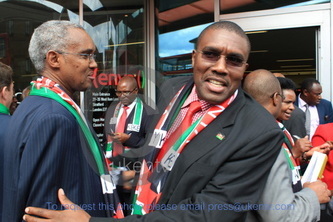 Kenya house continues to showcase the very best of Kenya as the Olympics continues to gain momentum . 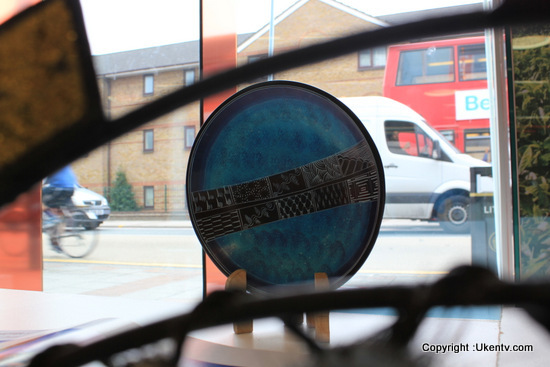 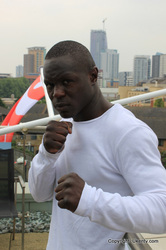 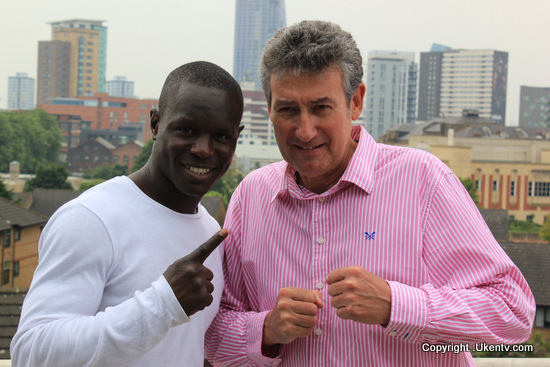 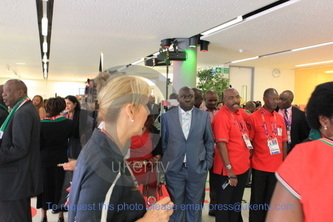 Its one week today since the opening of the London Olympics and the competion seems to be tight for the Kenyan Team but there is still time for gold. 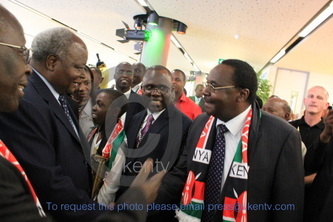 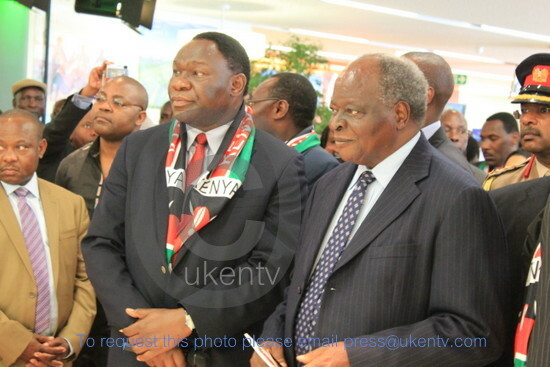 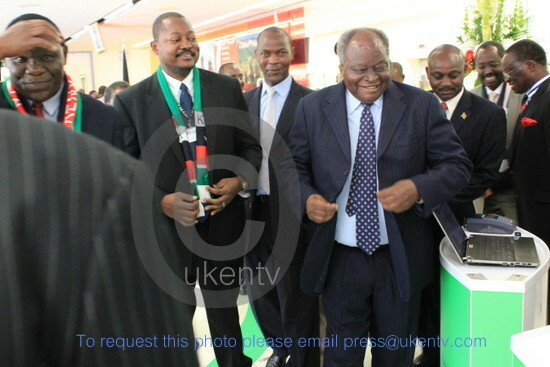 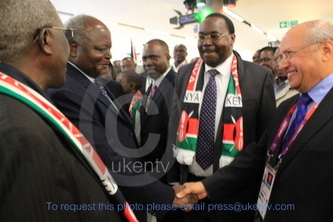 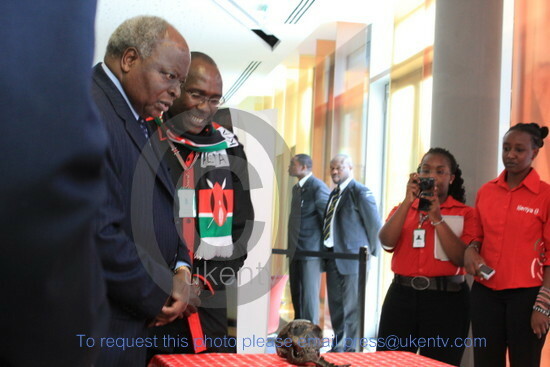 PRESIDENT MWAI KIBAKI LAUNCHES KENYA HOUSE. 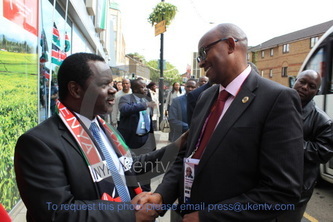 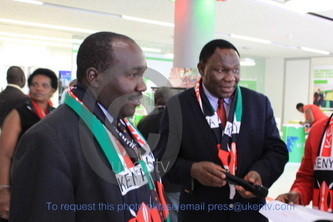 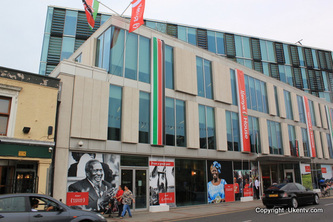 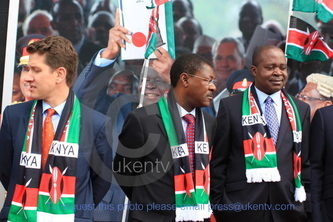 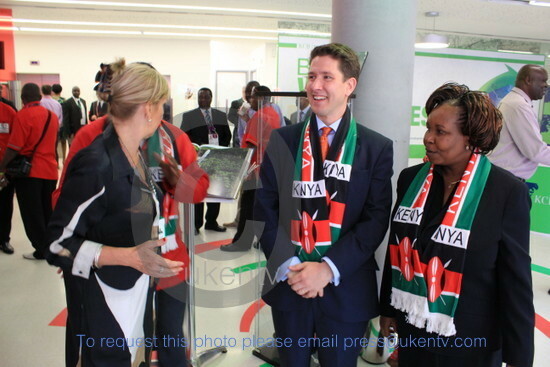 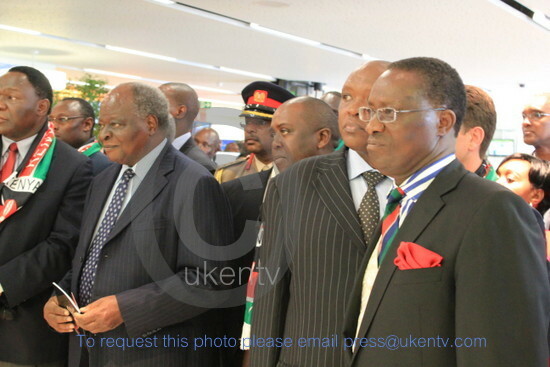 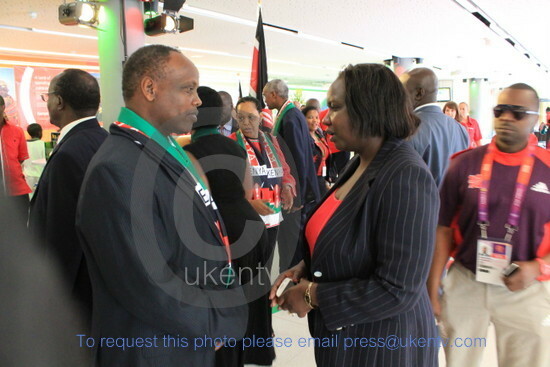 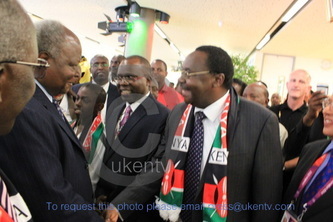 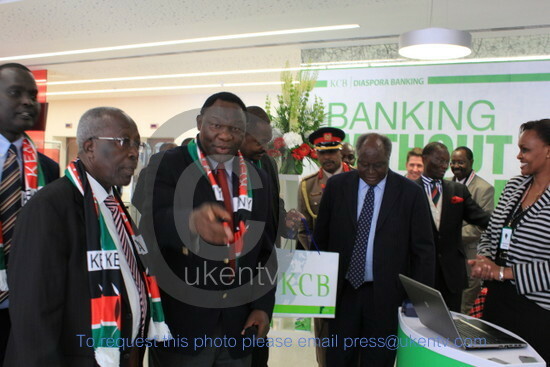 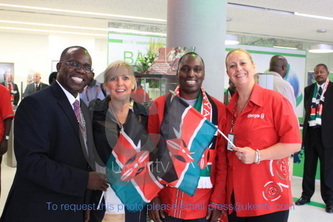 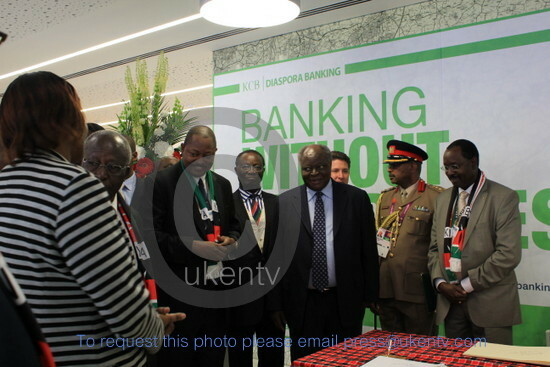 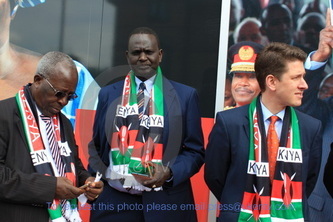 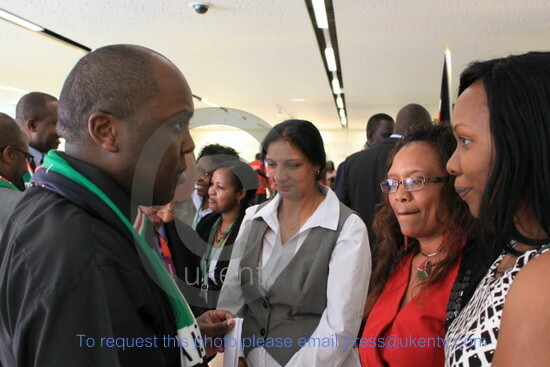 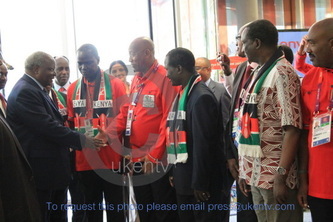 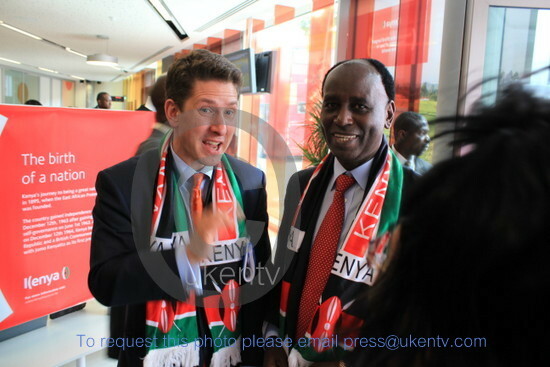 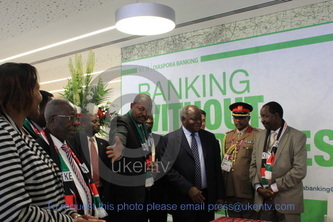 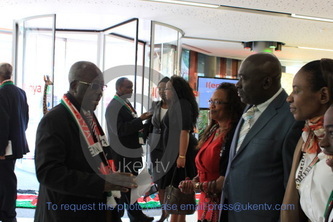 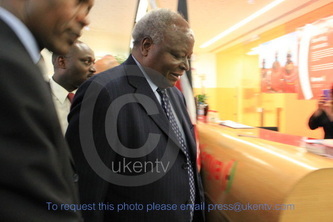 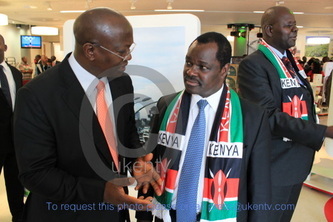 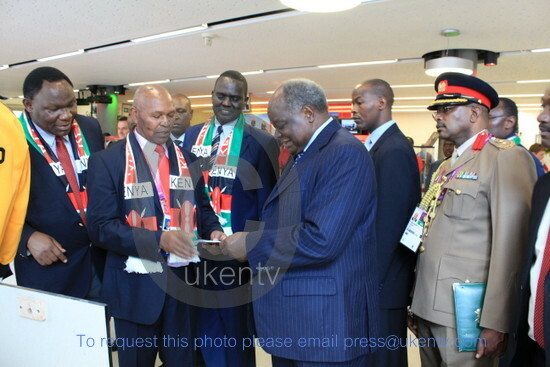 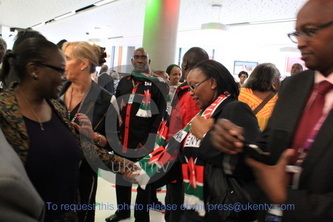 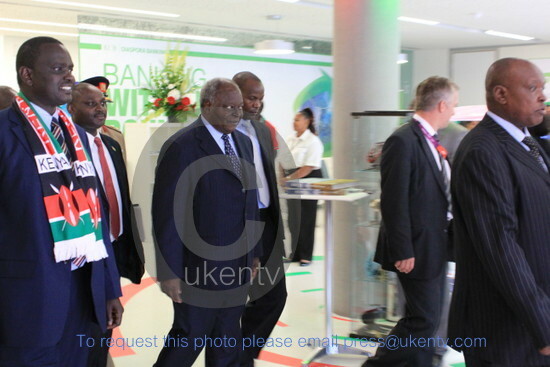 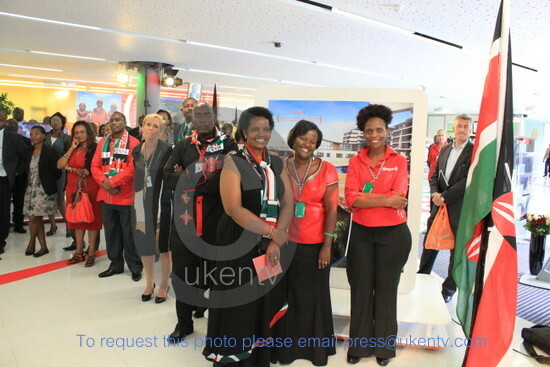 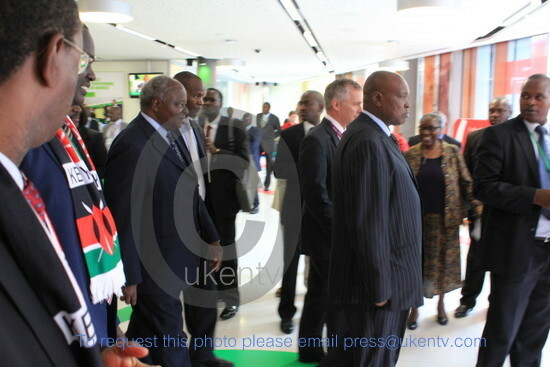 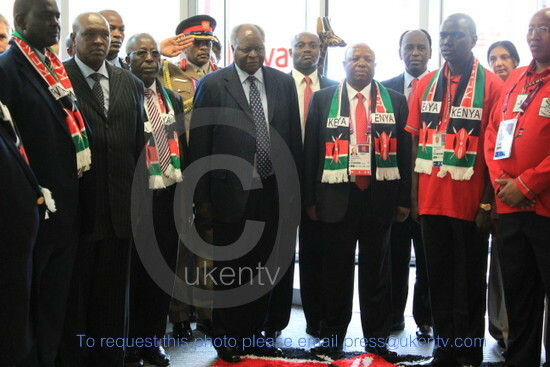 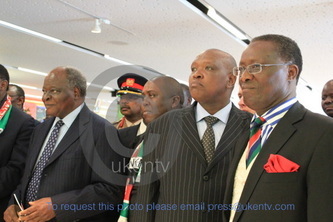 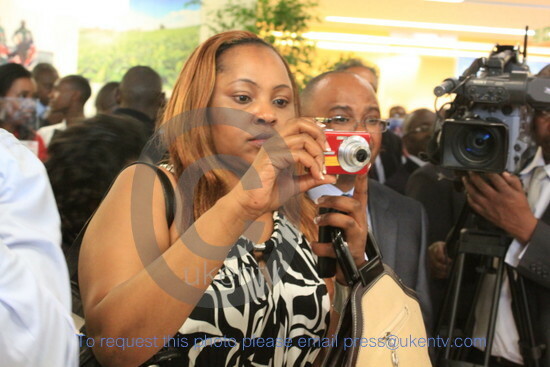 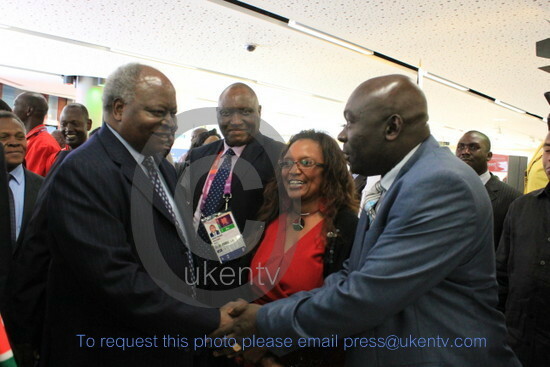 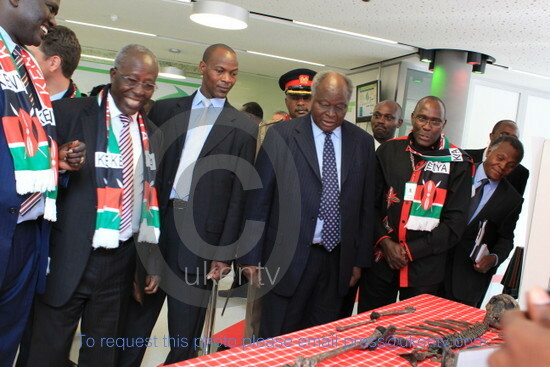 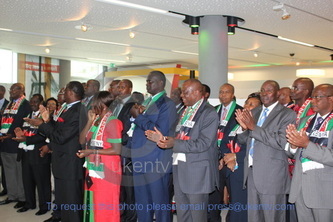 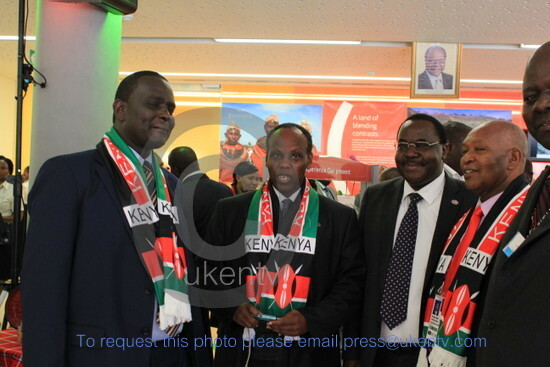 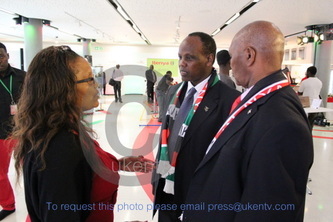 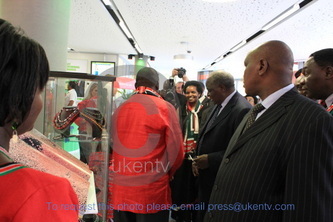 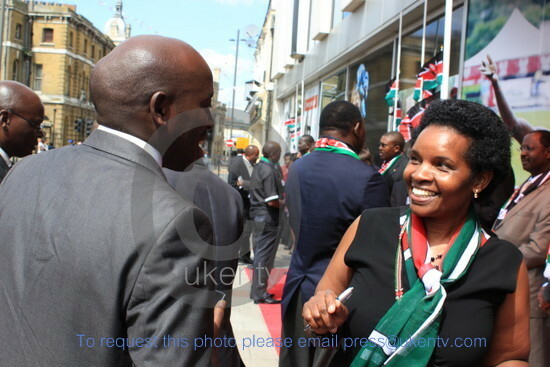 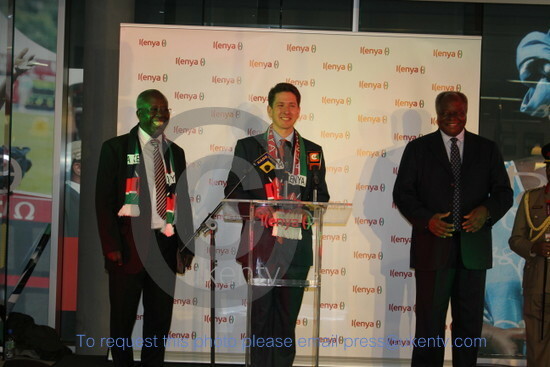 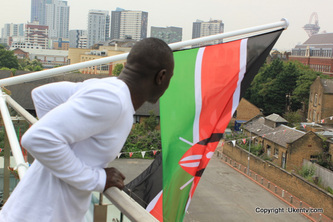 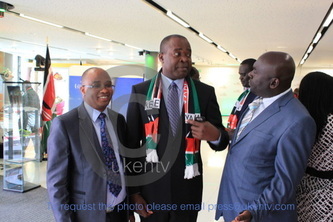 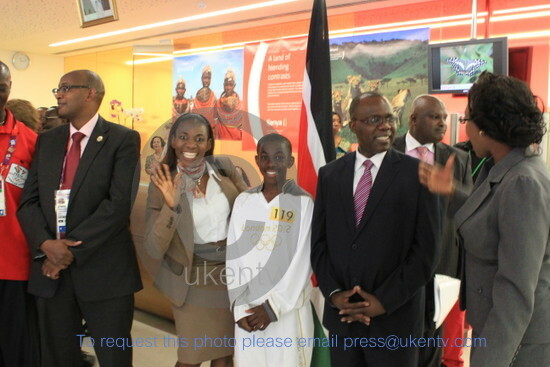 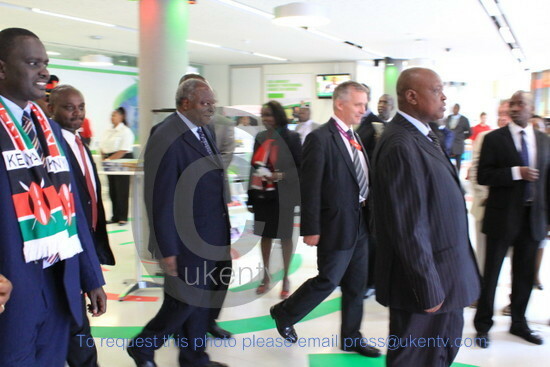 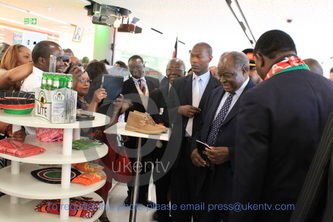 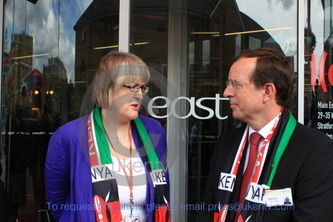 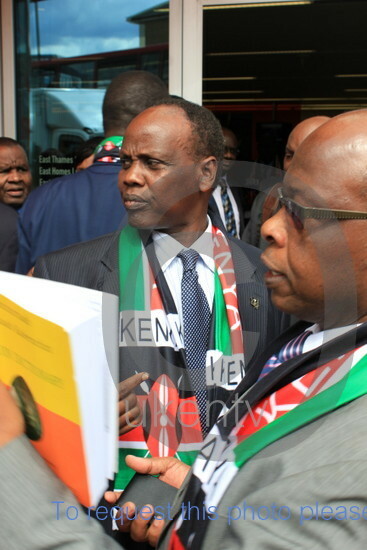 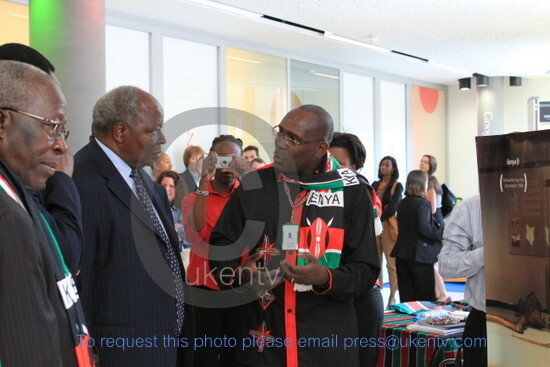 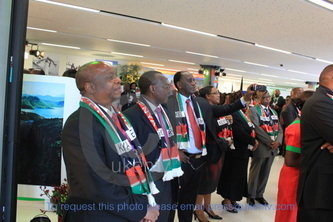 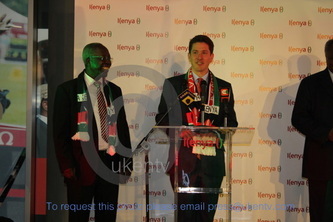 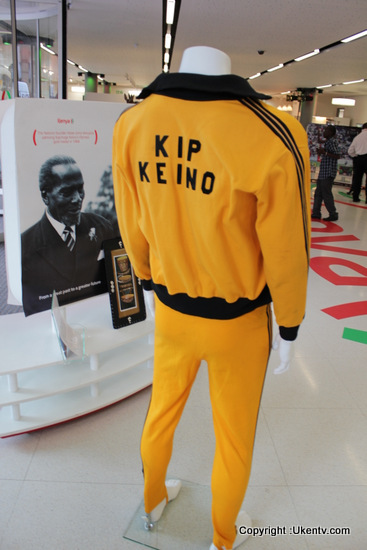 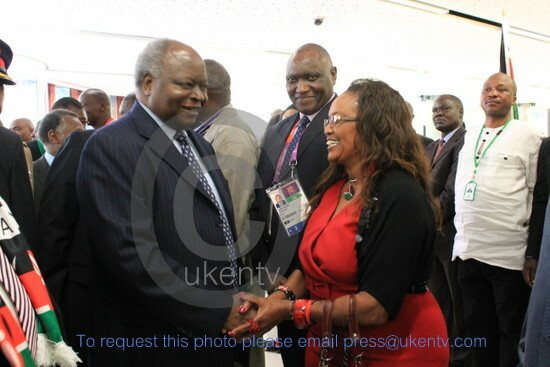 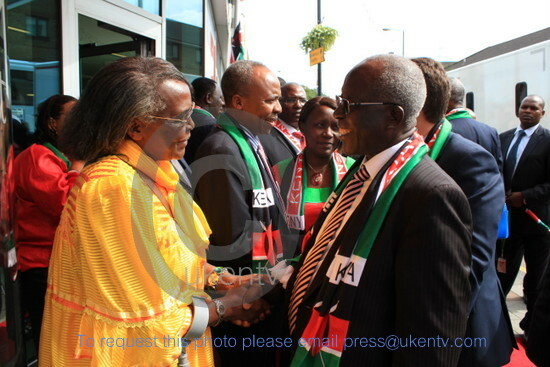 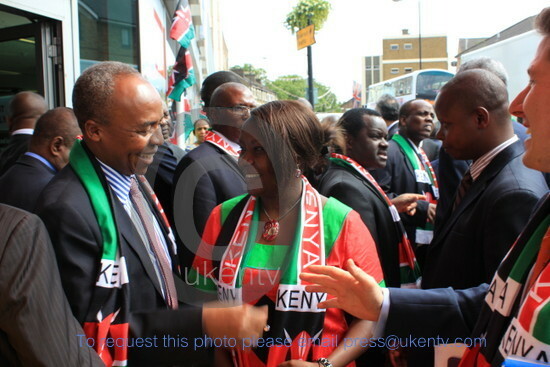 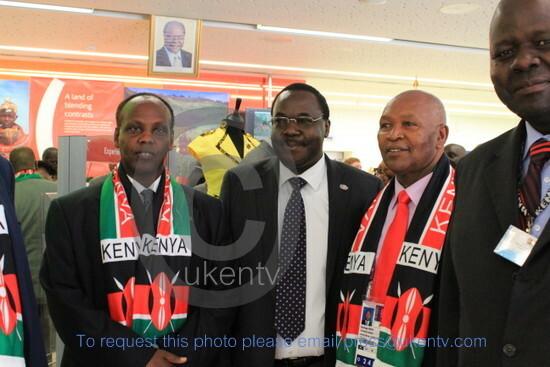 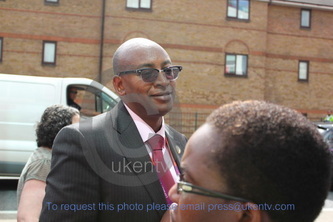 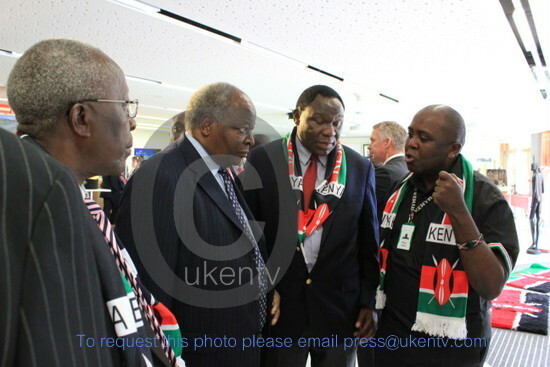 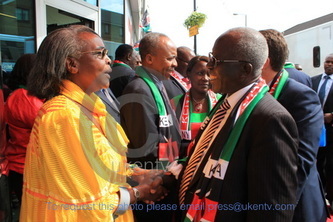 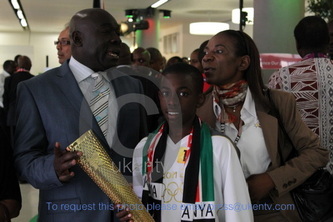 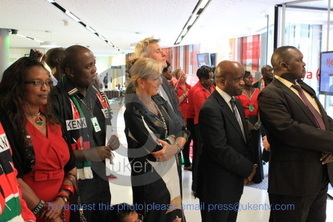 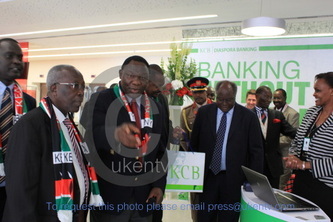 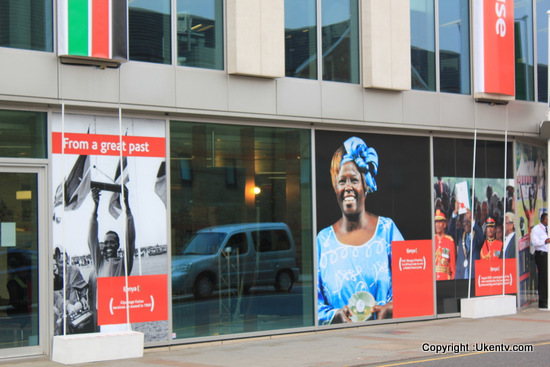 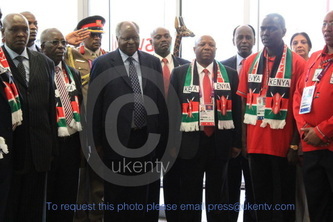 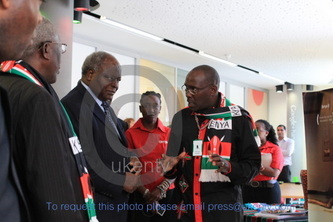 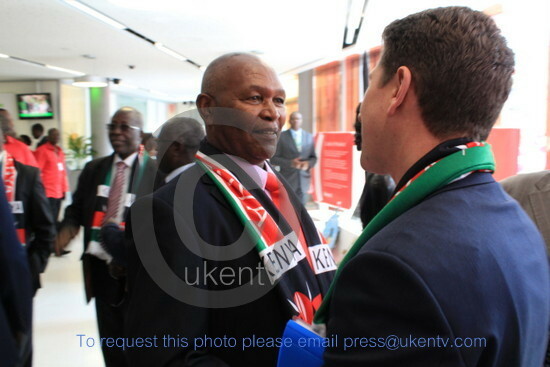 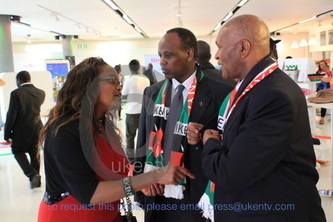 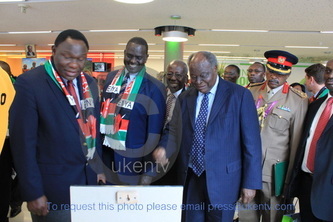 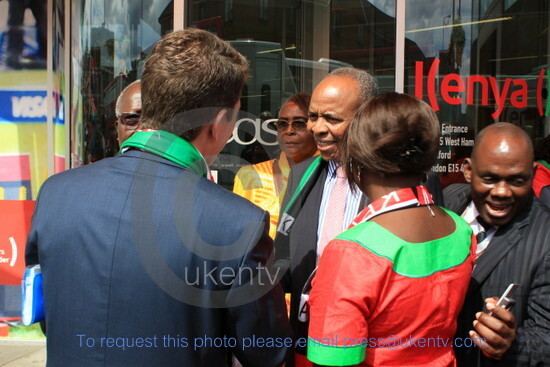 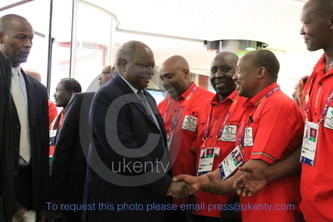 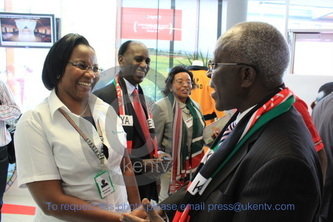 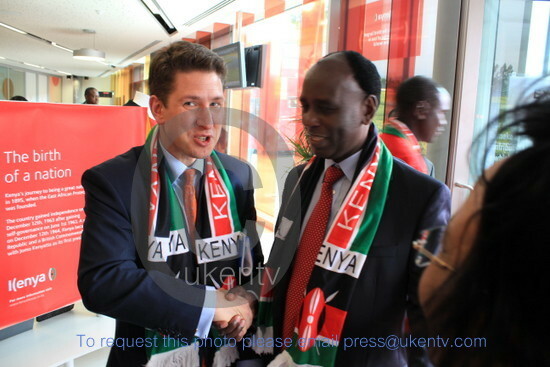 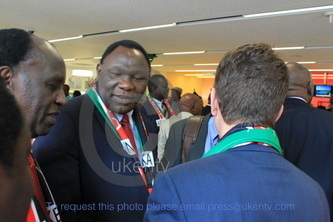 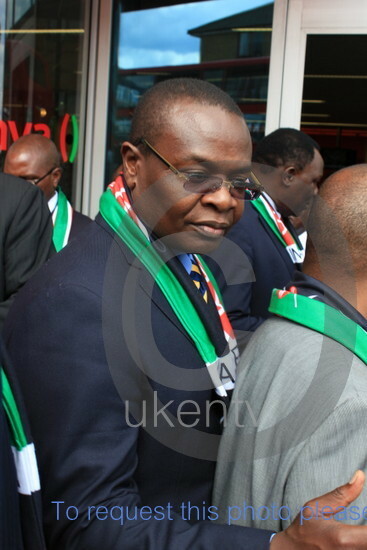 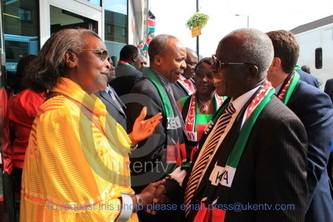 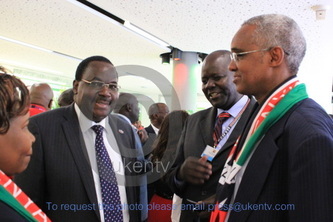 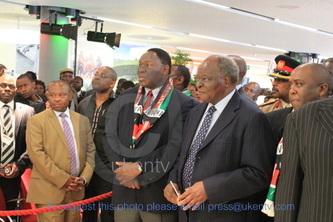 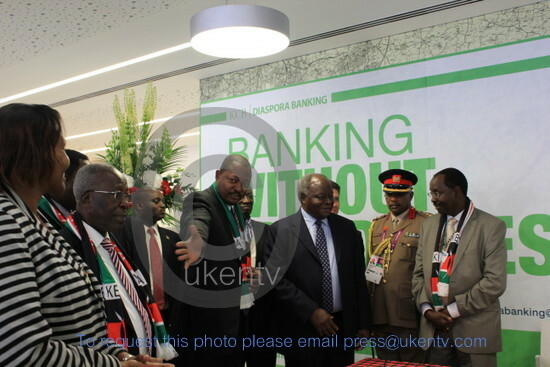 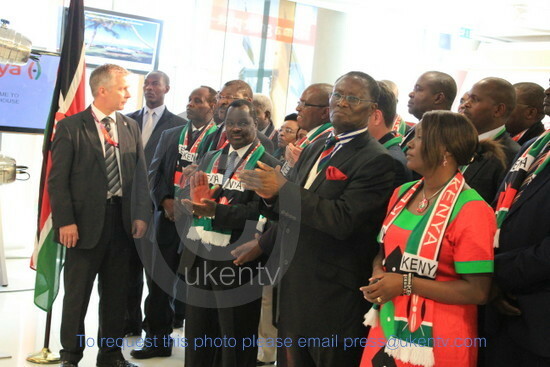 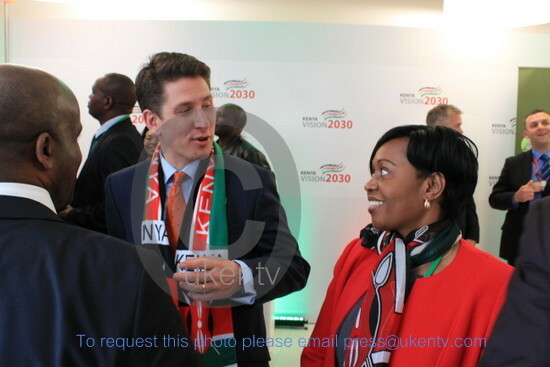 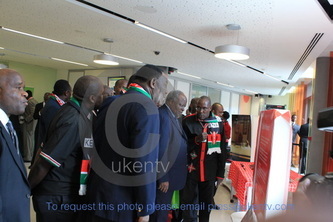 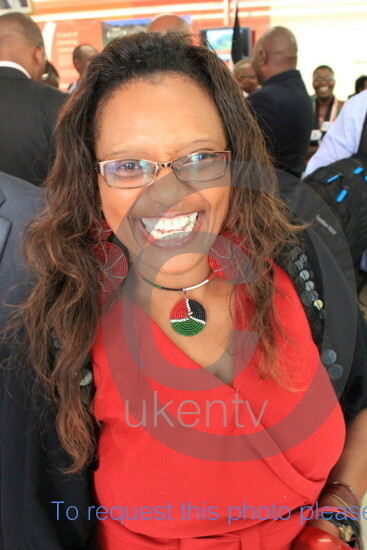 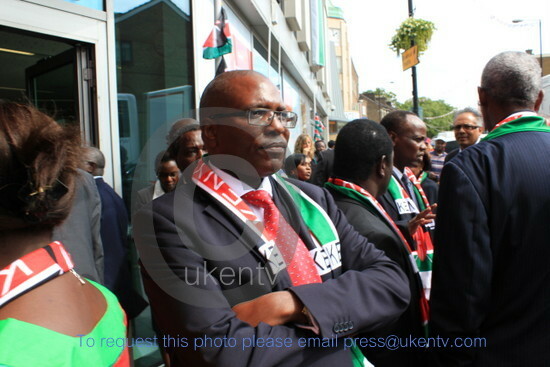 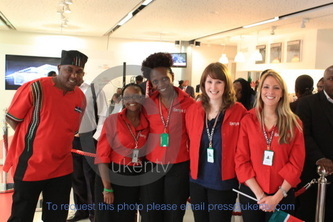 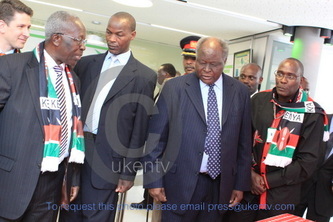 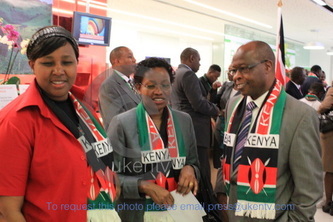 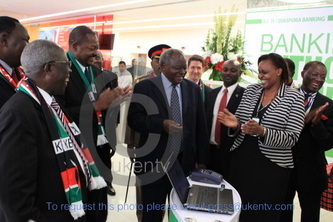 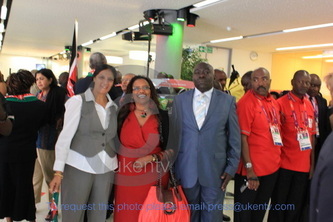 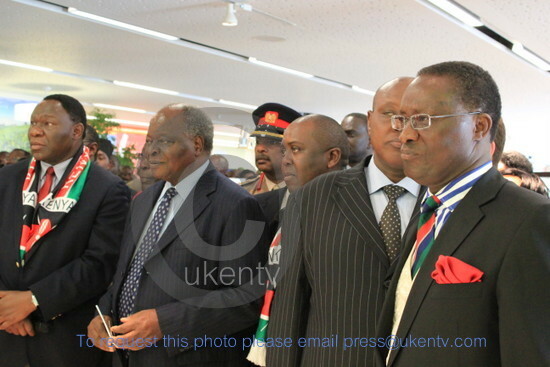 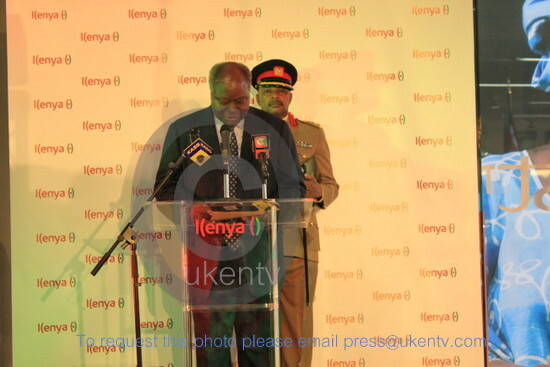 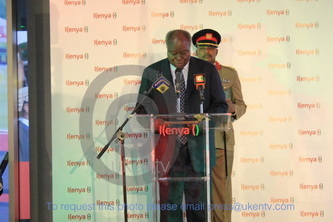 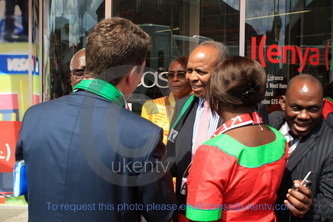 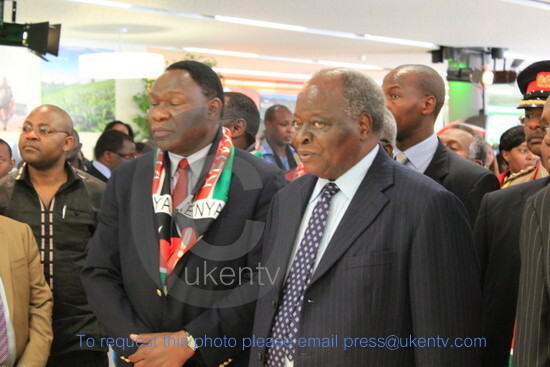 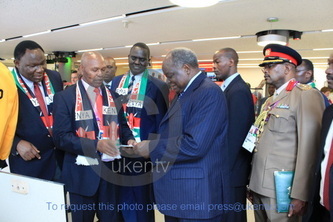 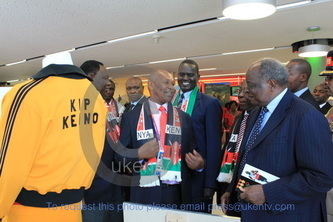 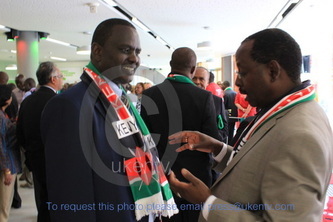 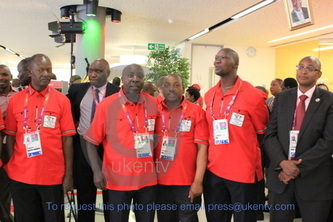 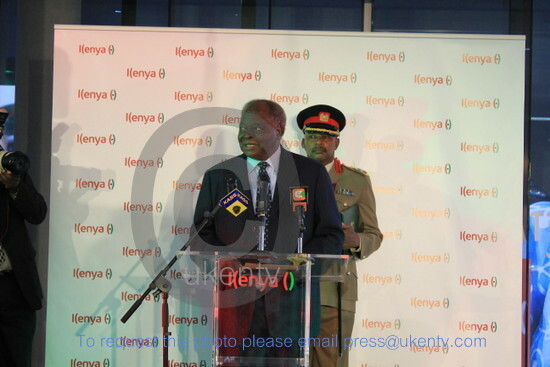 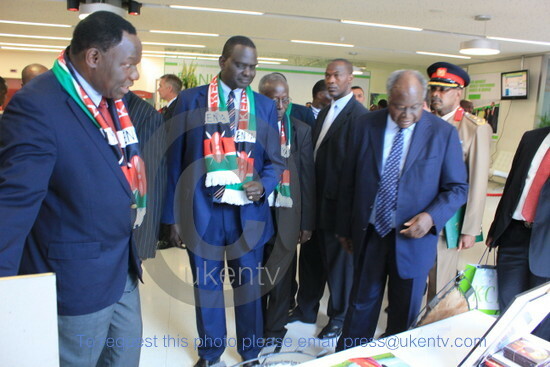 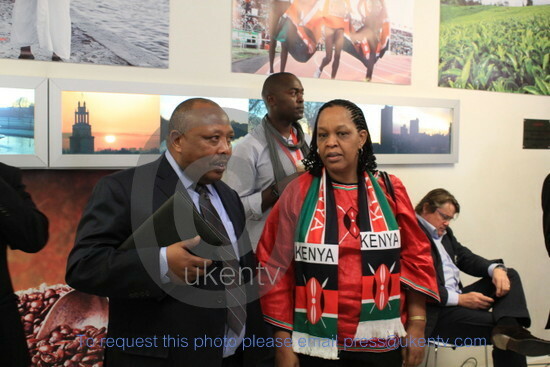 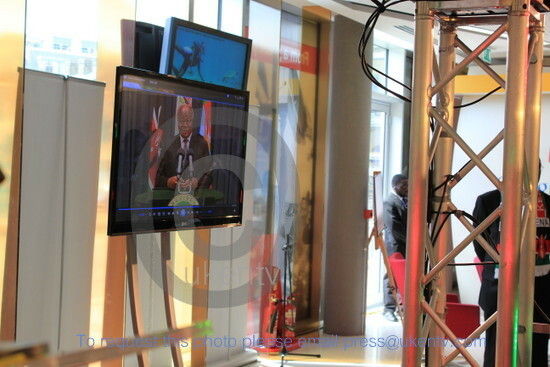 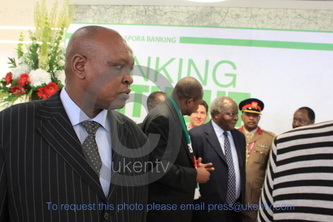 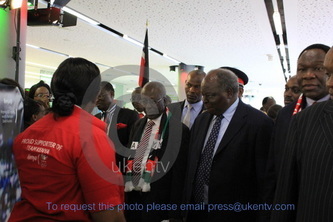 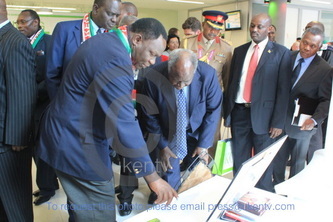 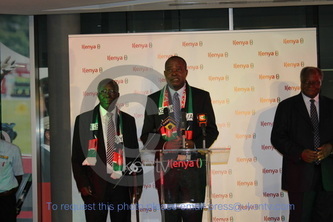 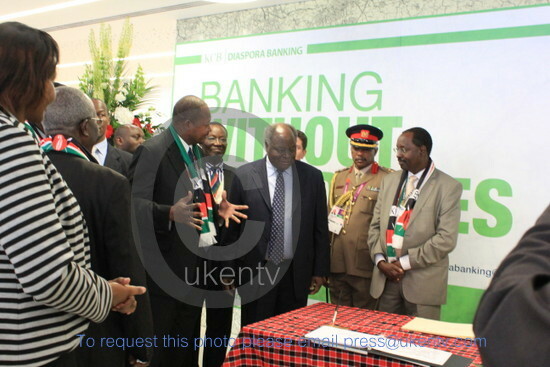 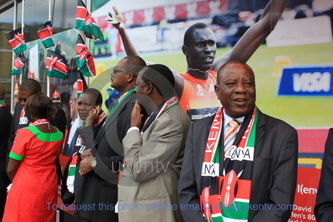 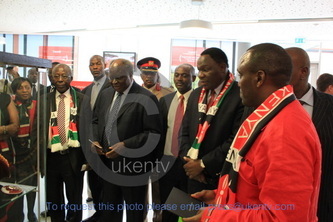 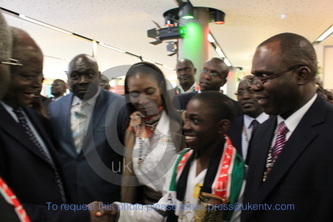 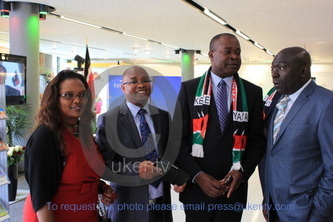 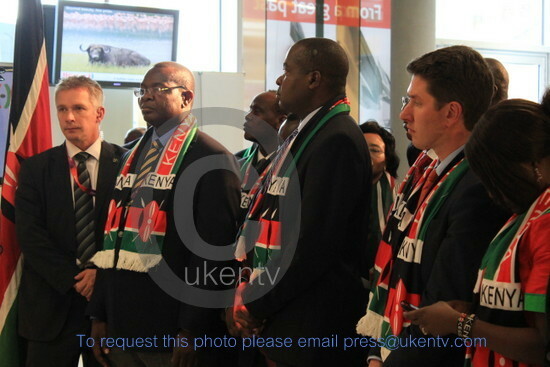 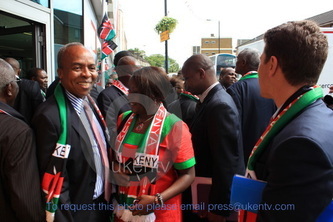 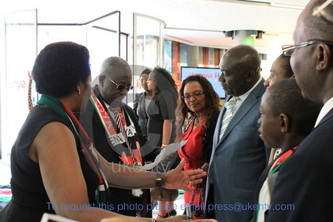 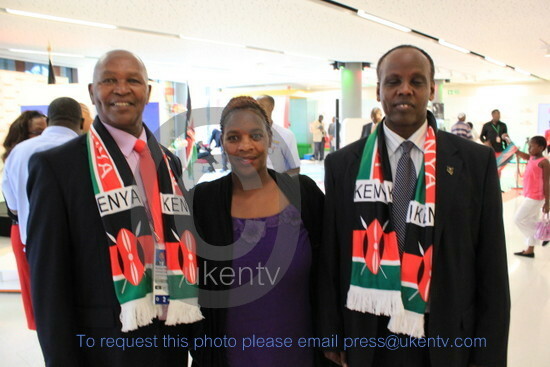 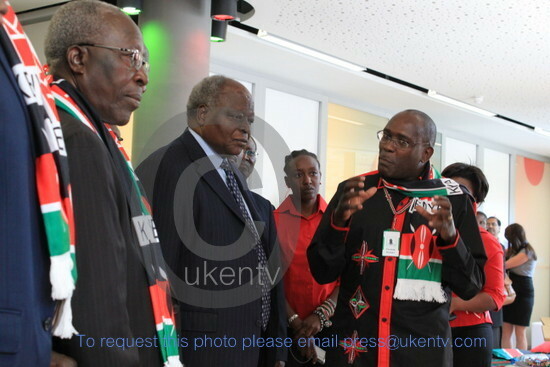 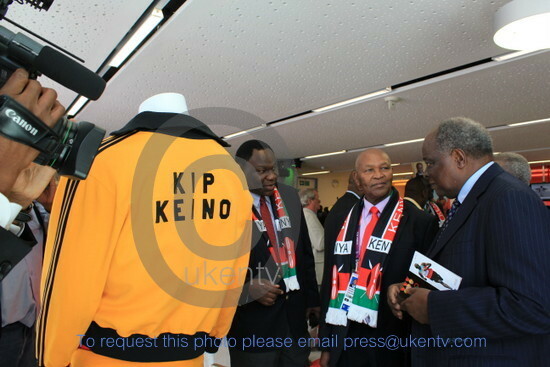 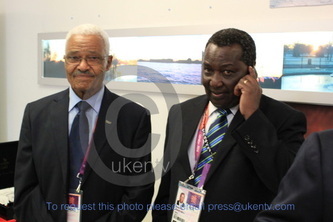 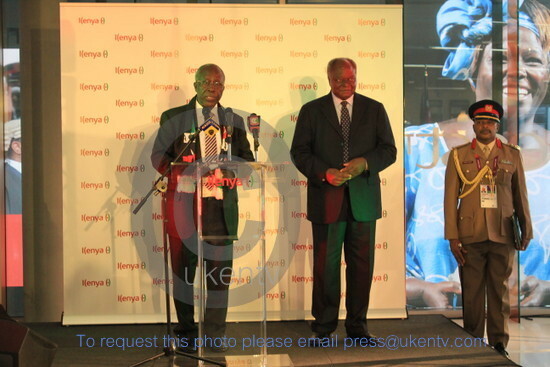 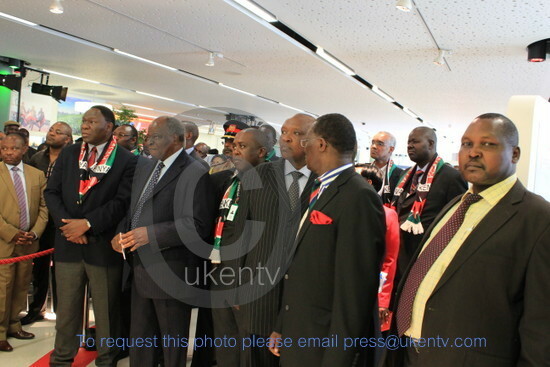 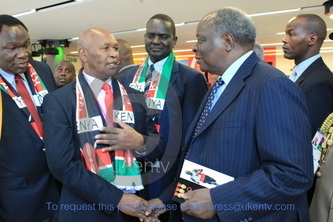 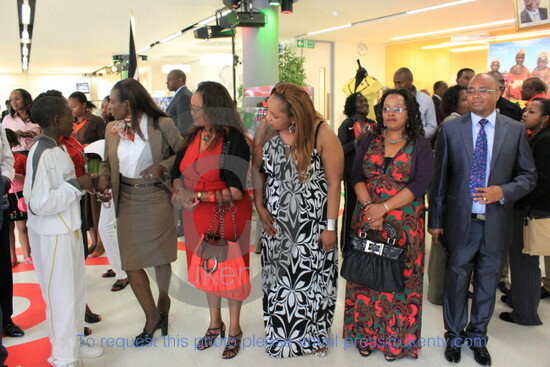 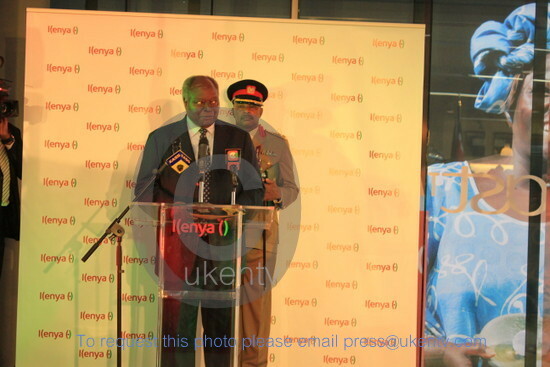 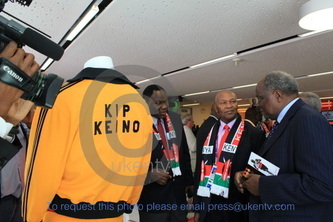 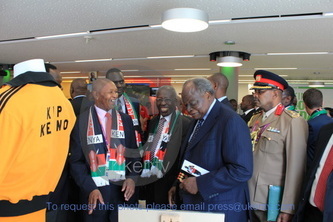 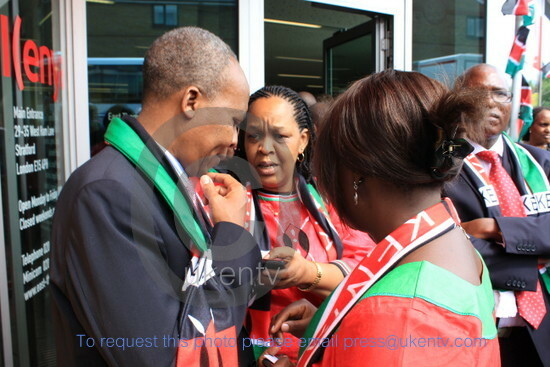 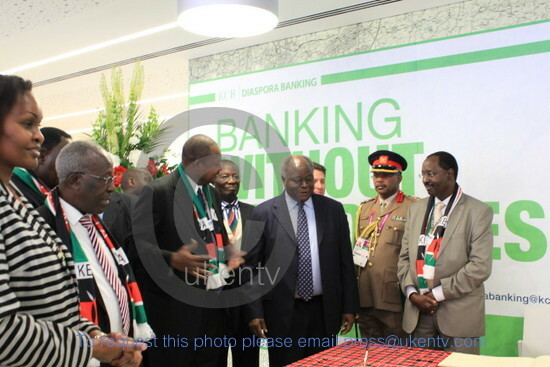 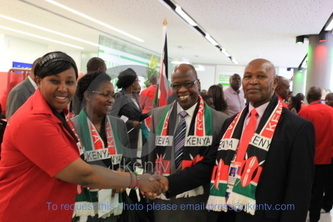 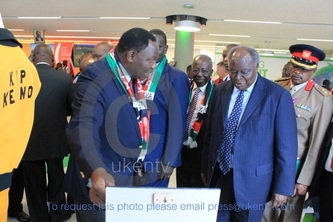 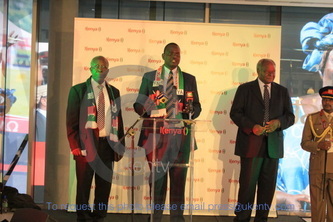 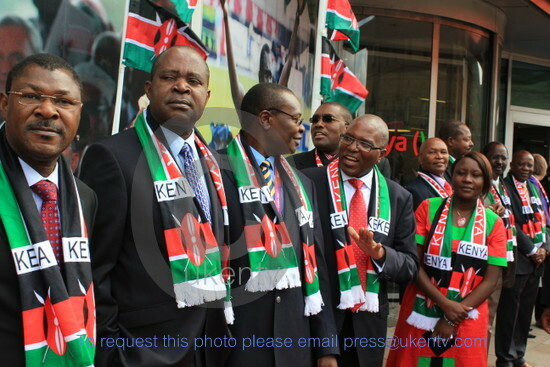 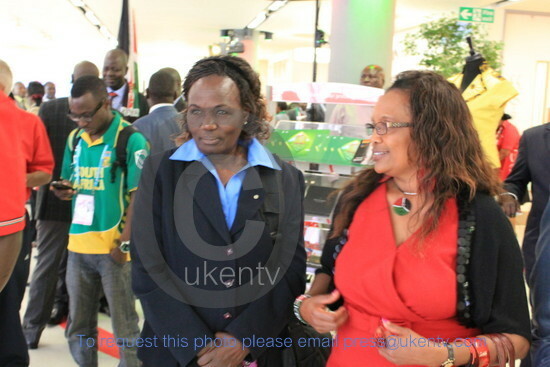 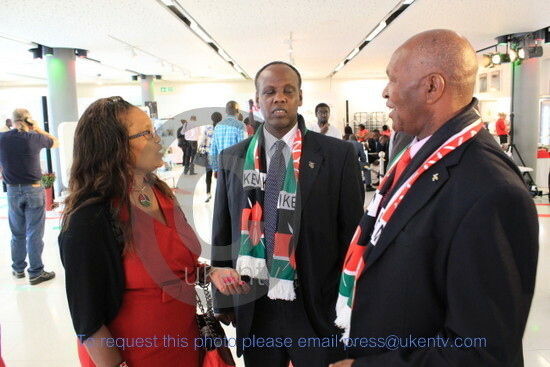 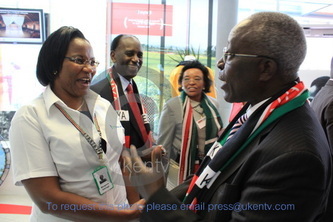 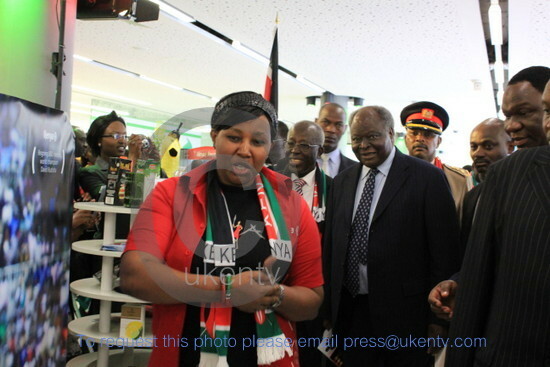 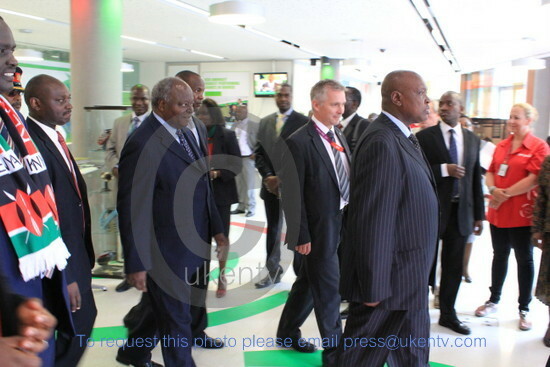 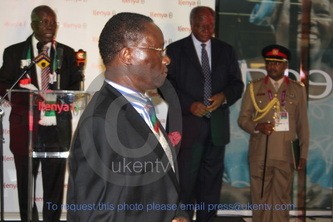 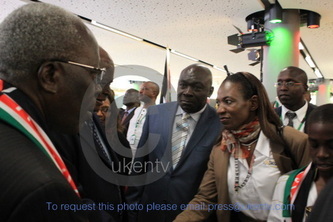 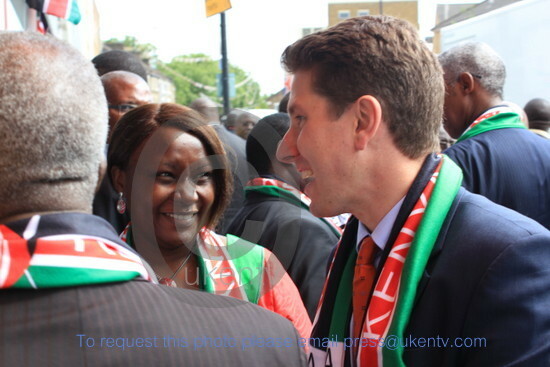 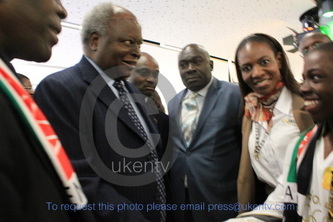 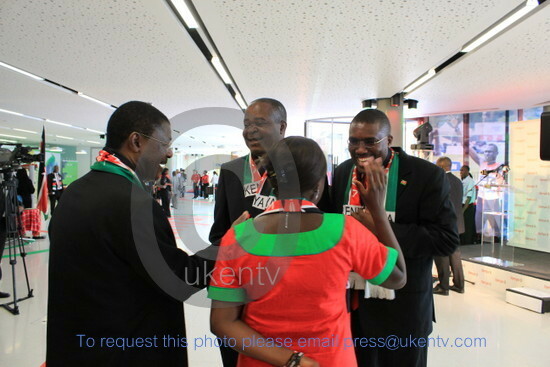 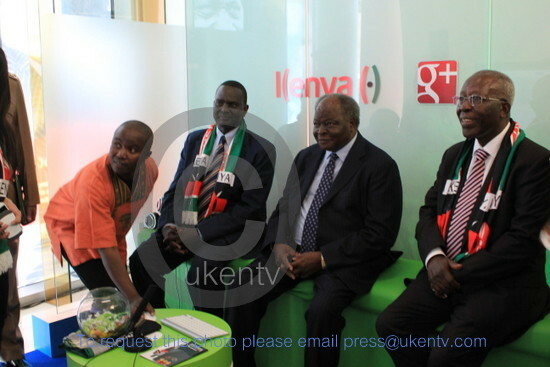 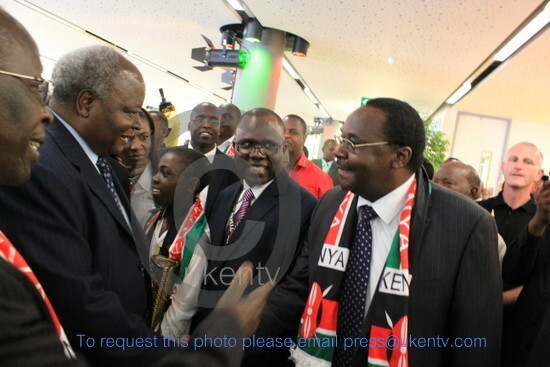 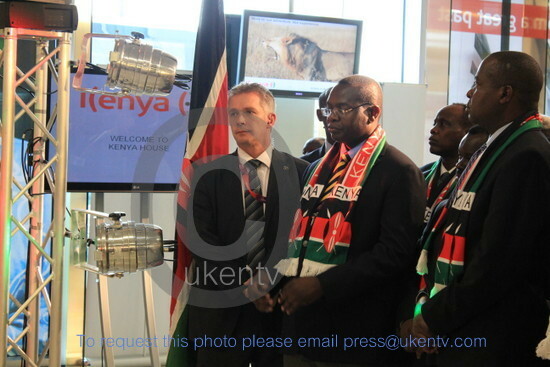 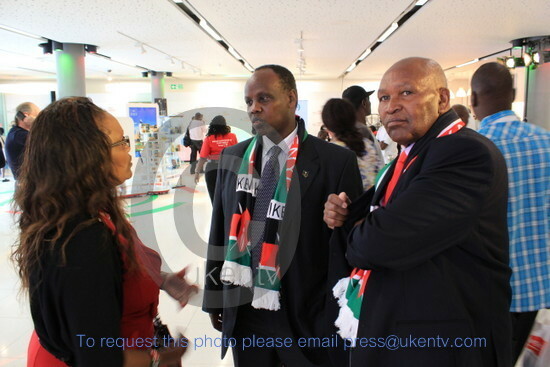 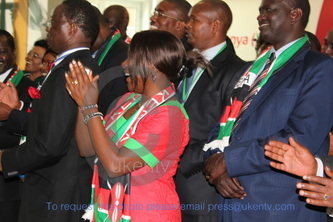 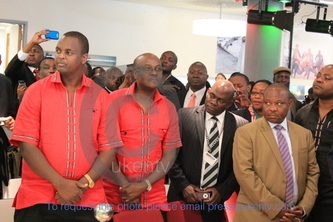 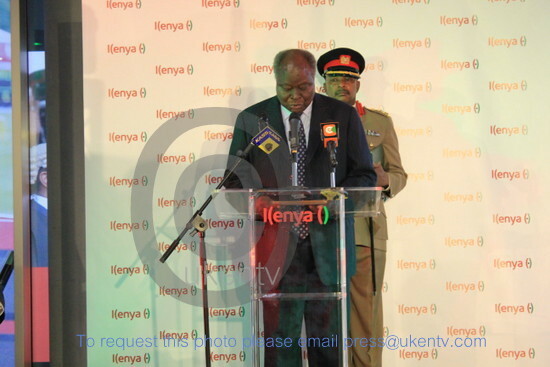 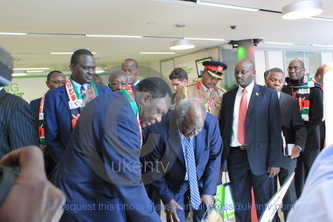 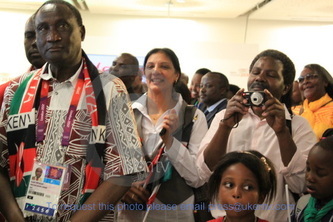 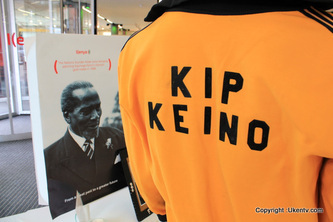 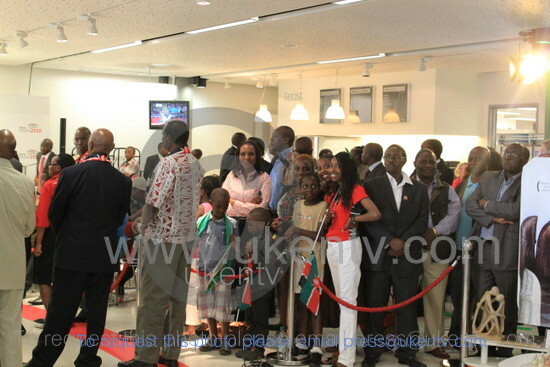 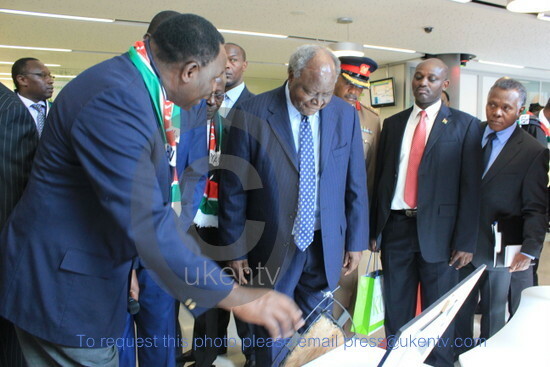 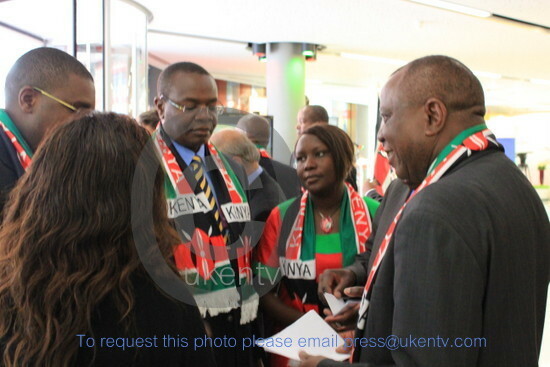 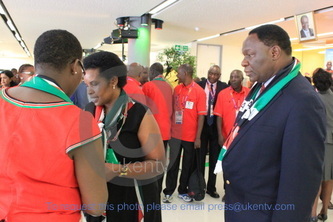 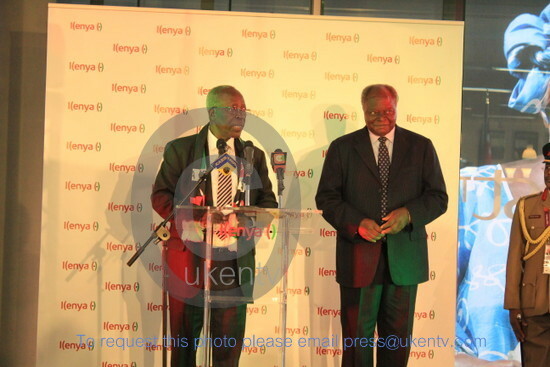 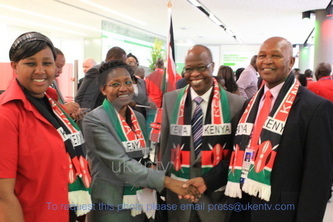 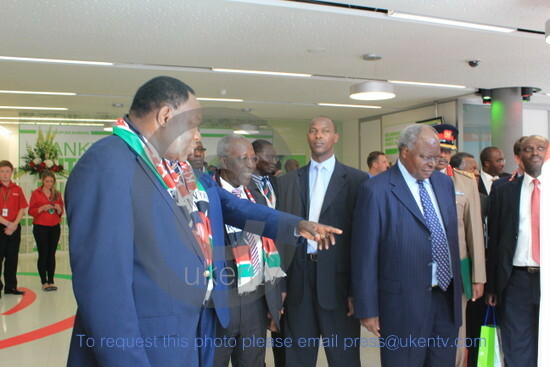 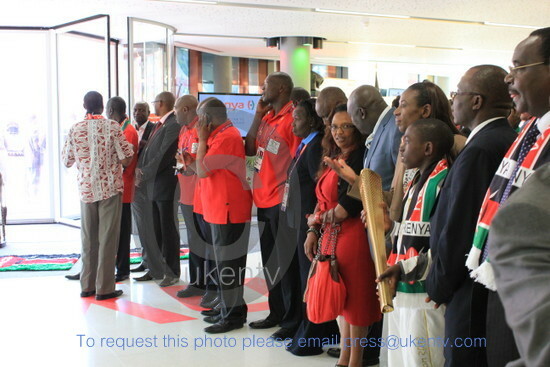 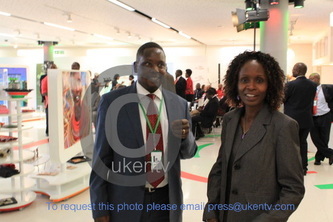 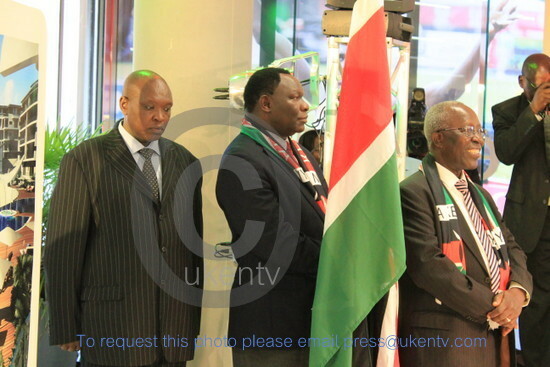 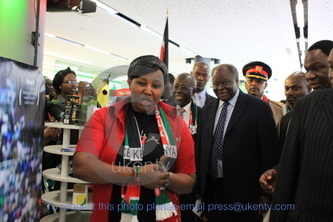 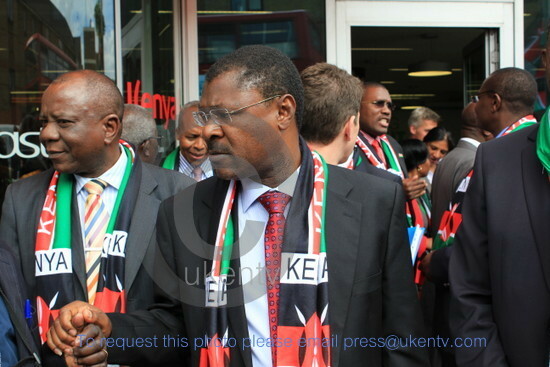 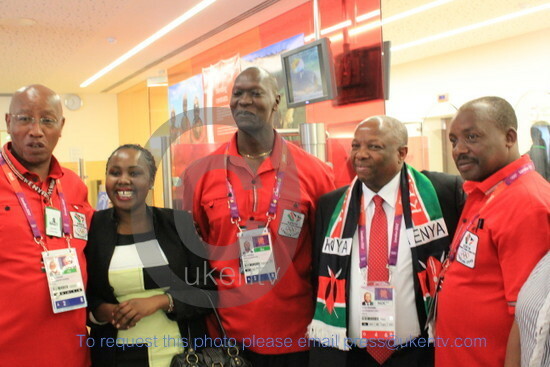 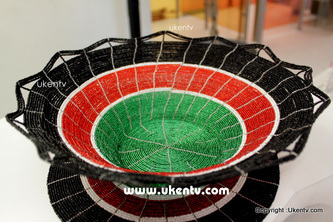 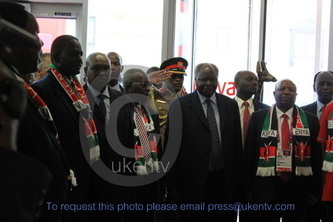 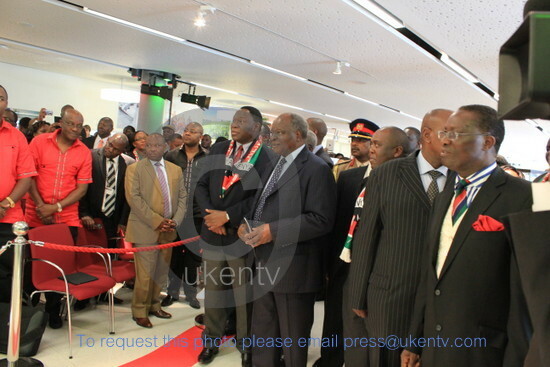 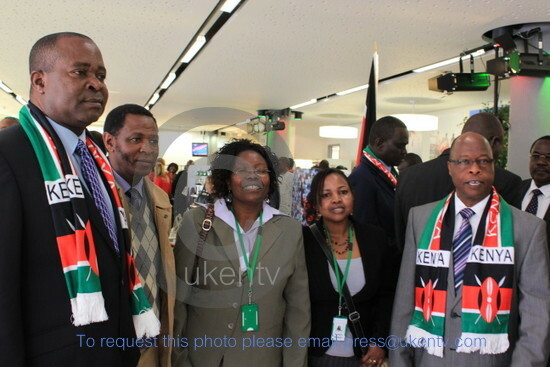 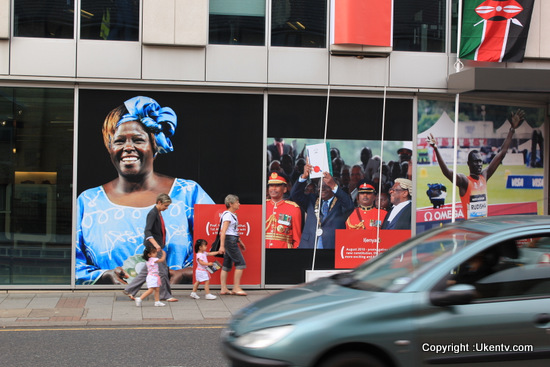 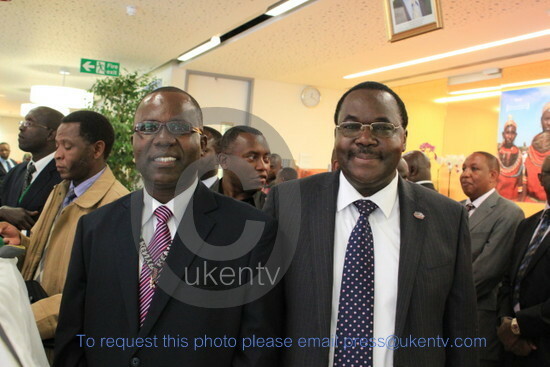 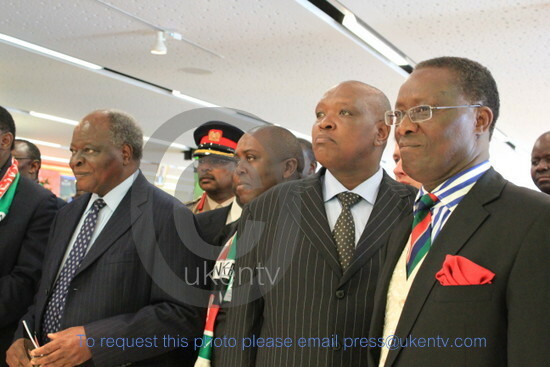 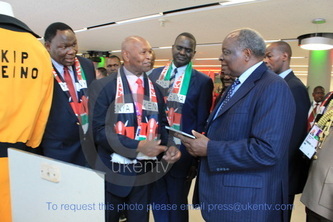 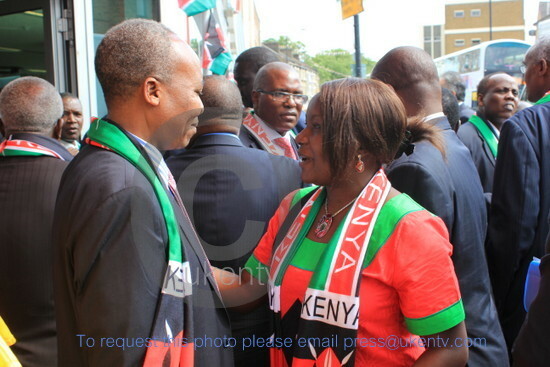 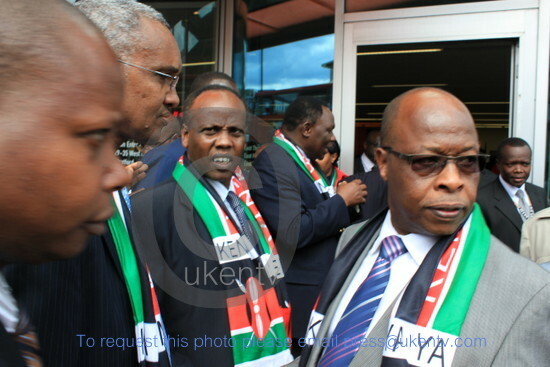 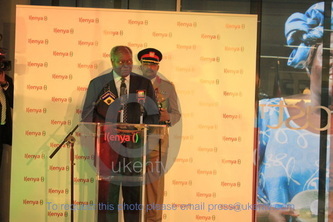 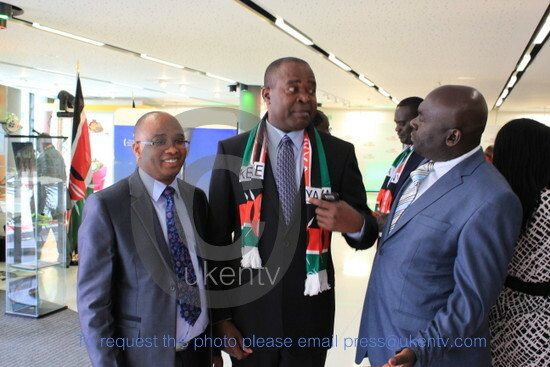 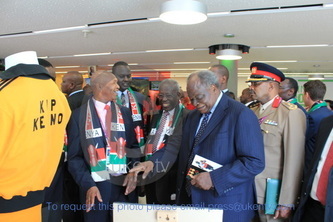 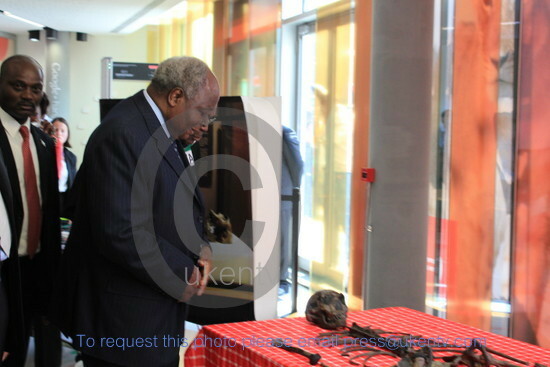 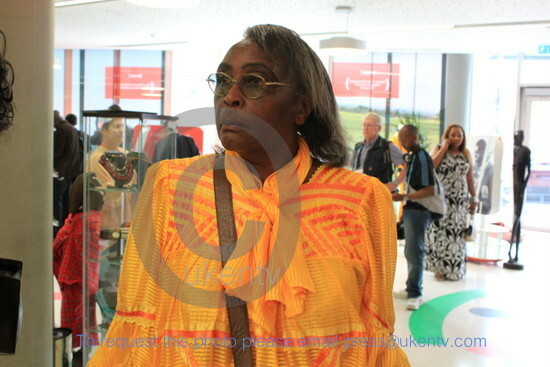 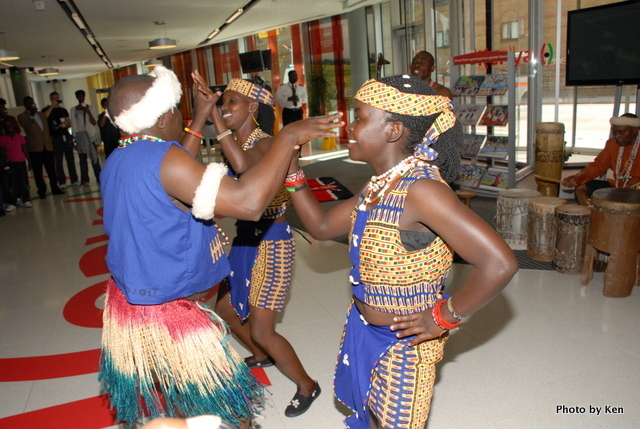 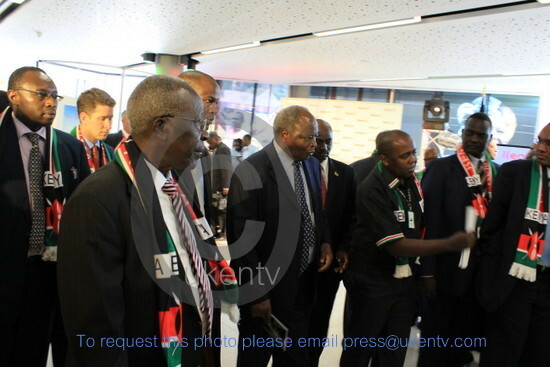 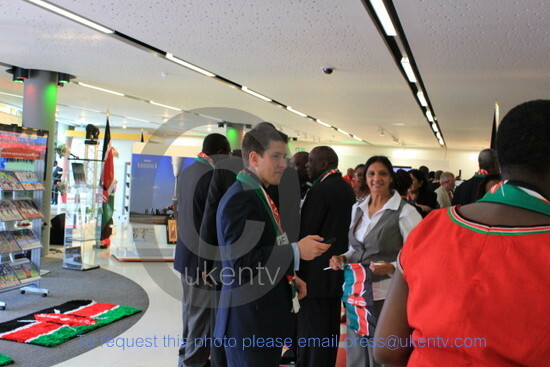 Kenyan`s in UK were thrilled to witness his Excellency Mwai Kibaki launching Kenya Olympic house at stratford city, in the presence of government ministers and other seniour office holders in the ministries reaching out to showcase Kenya abroad. 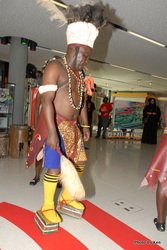 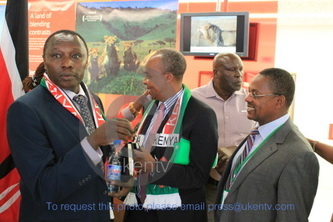 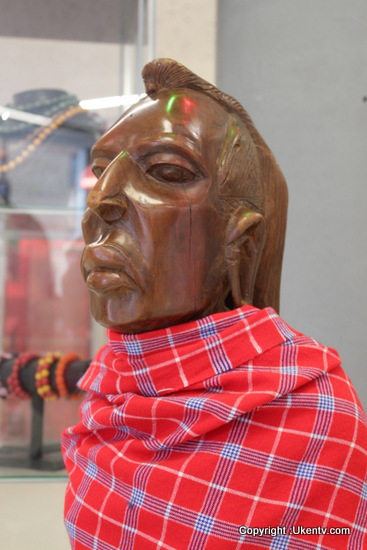 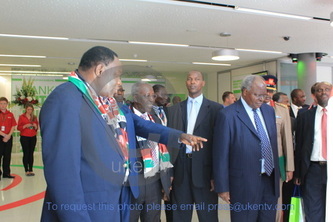 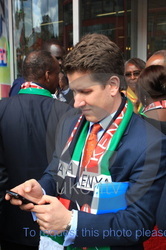 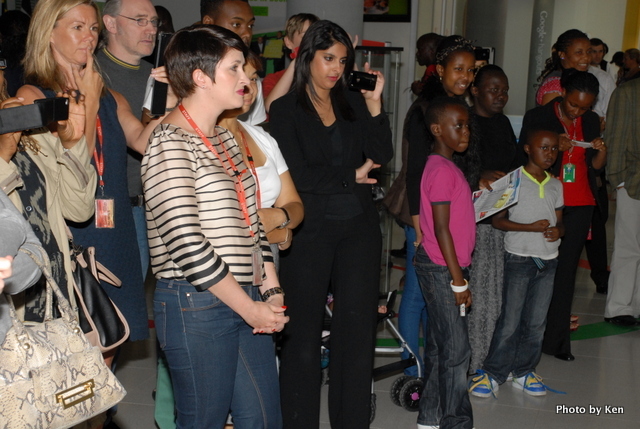 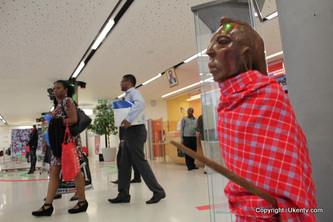 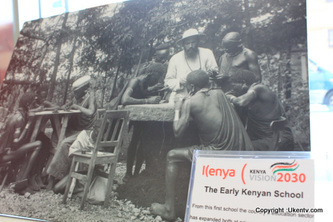 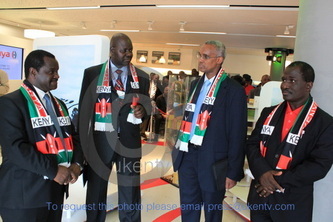 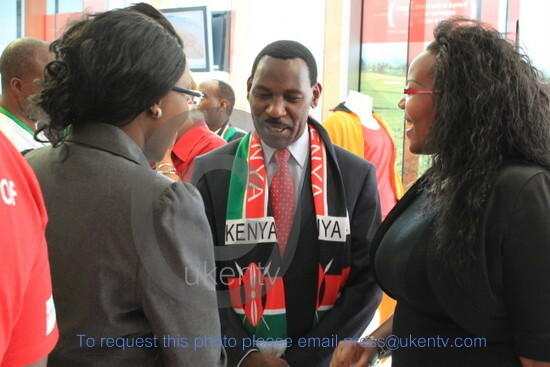 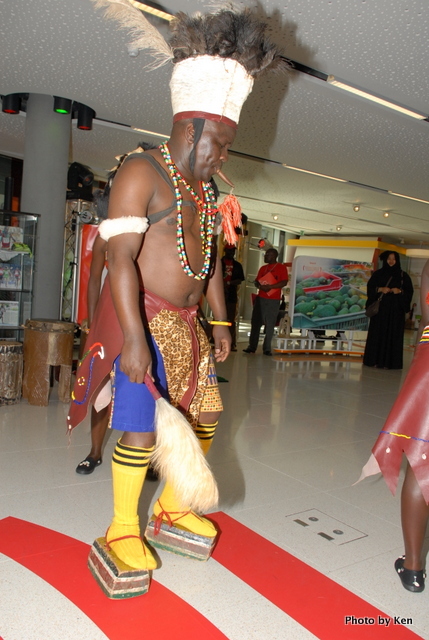 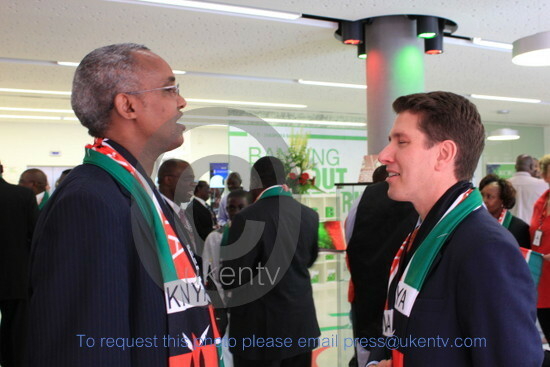 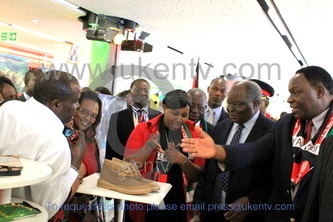 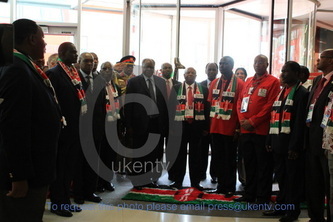 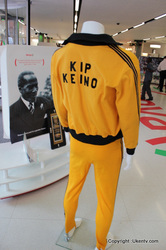 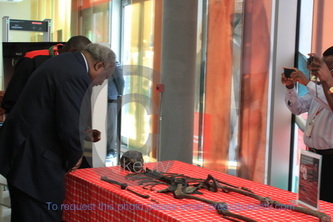 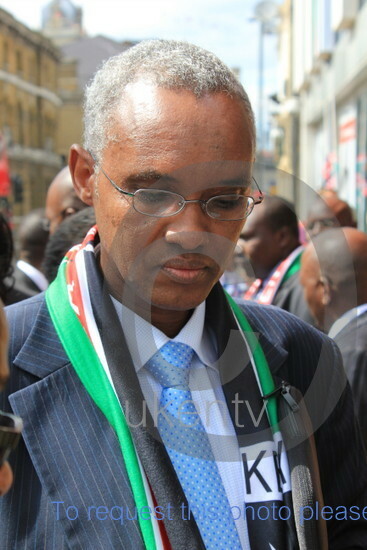 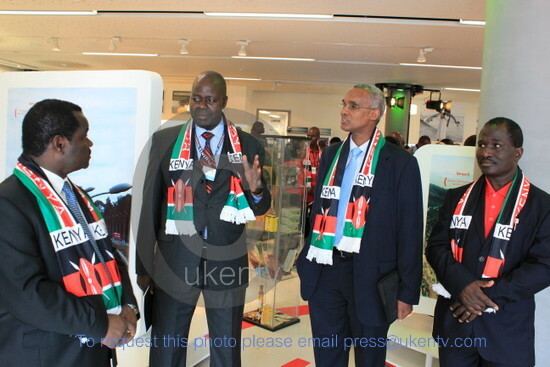 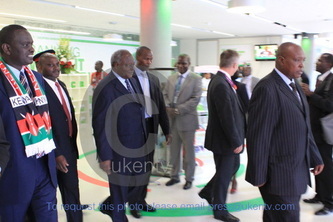 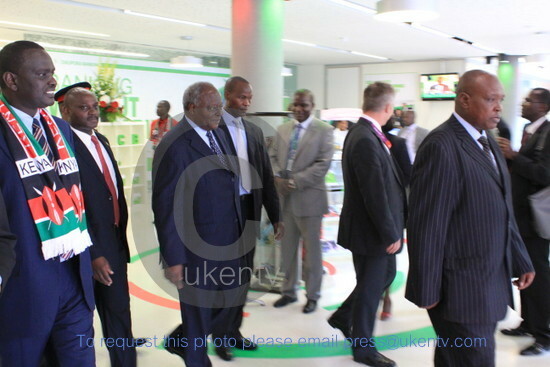 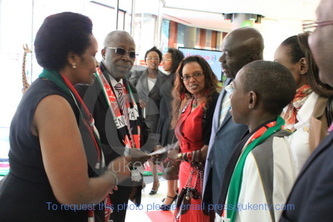 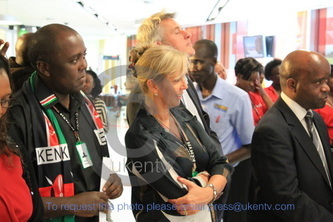 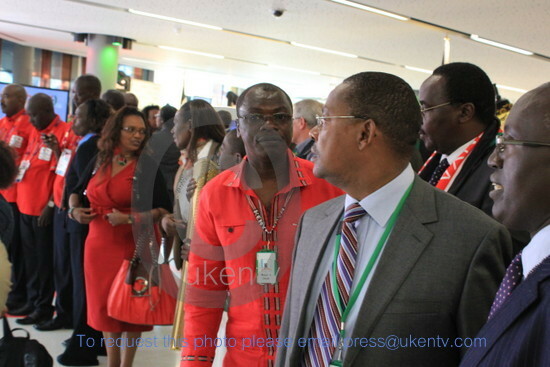 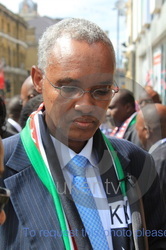 The president was taken around the exhibition of Kenya of the past, the present and the future. 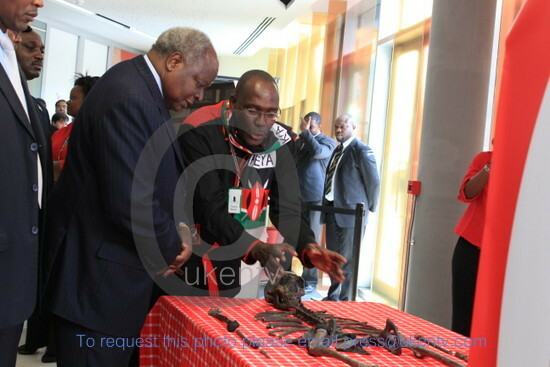 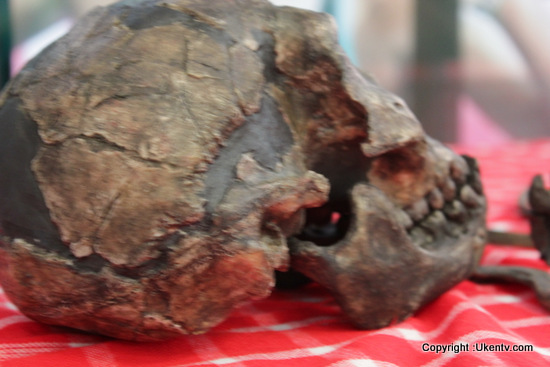 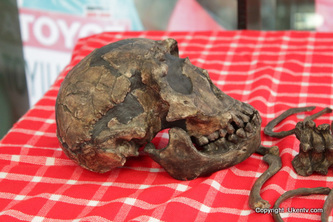 He was highly intruged by the fossils of Turkana boy, the oldest excisting fossils of mankind. 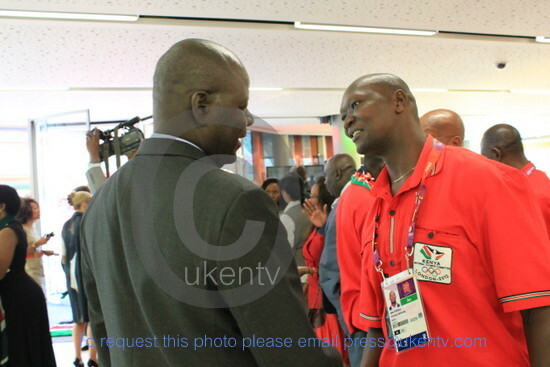 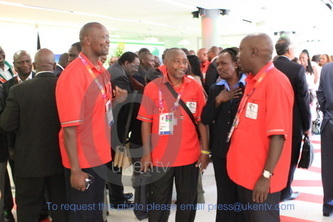 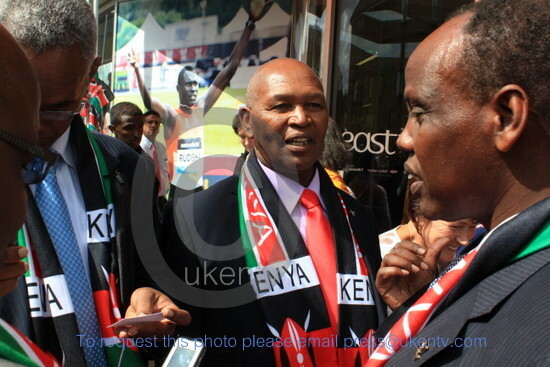 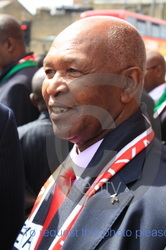 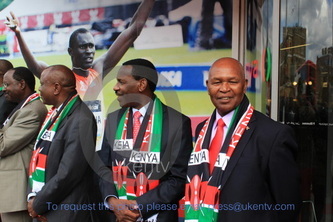 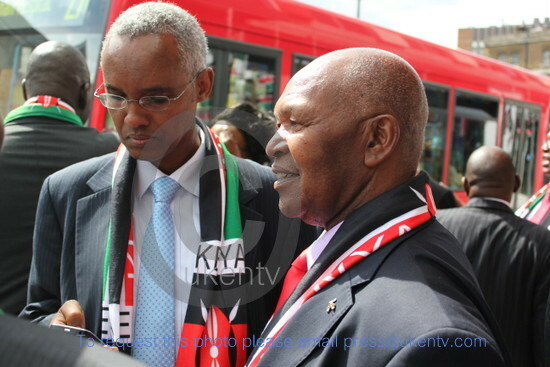 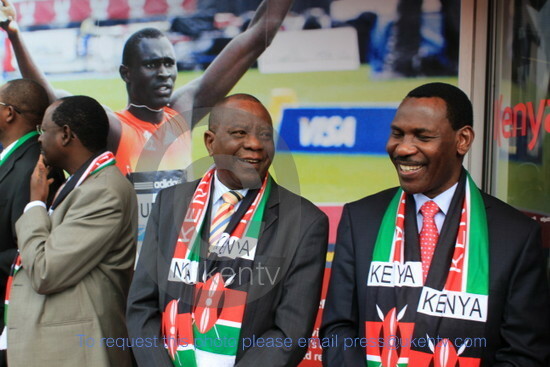 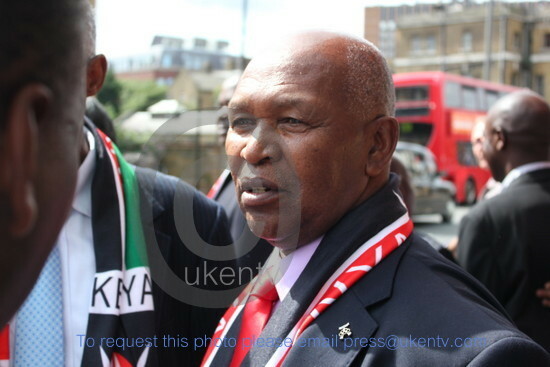 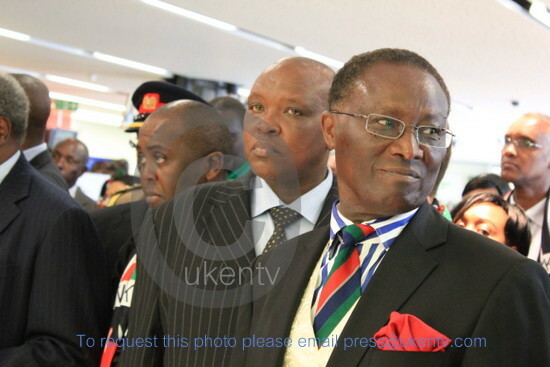 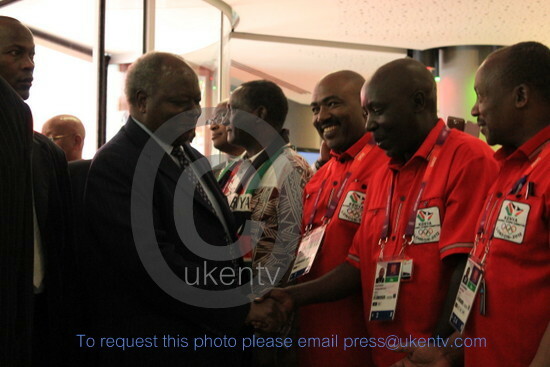 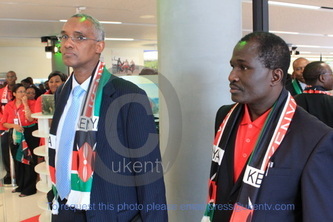 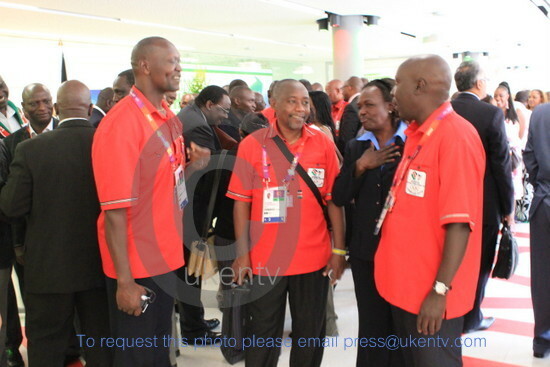 Dr kipchoge Keino was there to explain to the president about his past glory in Olympics.